December Step by Step: Close Reads, Freebies, and More! Hi all! I hope that you had a GREAT Thanksgiving…filled with family, food, and REST! This post is a gift from me to you! 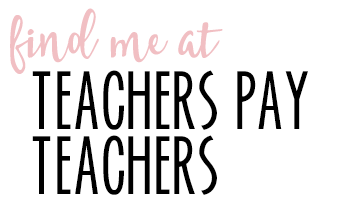 I have jam-packed this post so feel free to read it in chunks! Up first, I will explain in detail the themes of KinderLiteracy that you are most likely teaching! I will also be sharing LOTS of freebies for the month of December! 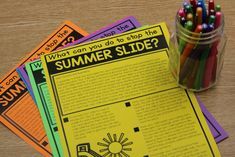 Beyond the freebies I will be sharing additional ideas for your classroom this month! I hope to continue these monthly posts as a way to stay ahead for you! 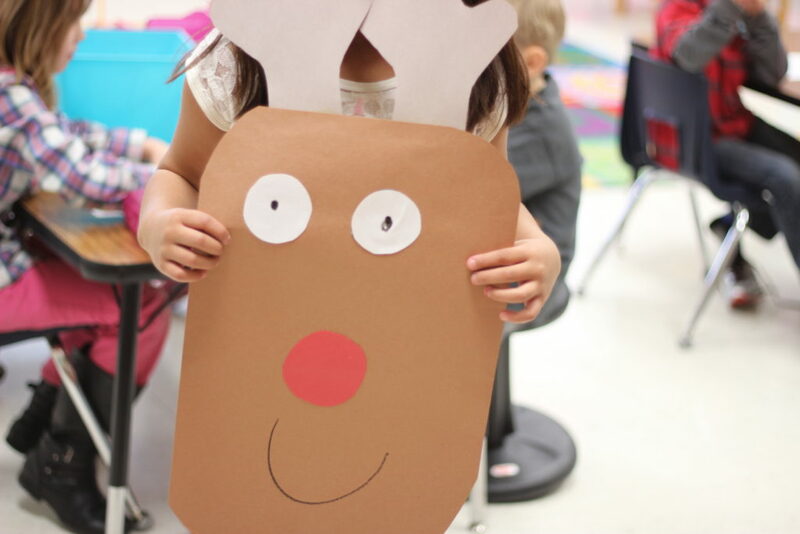 That way if you are teaching reindeer first week and not third week…you won’t miss out! Look for January’s post over Christmas break! If we don’t chat before then… I wish you the BEST holiday season! I know December can be a little c-r-a-z-y with our youngsters. However, they are so blessed to have you in their lives! 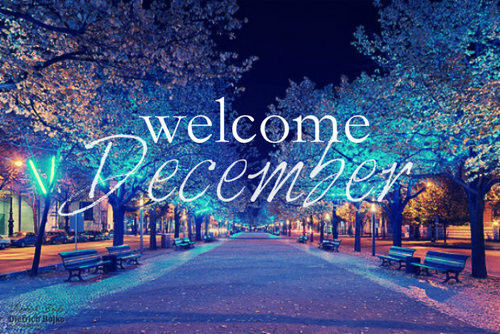 We will gladly welcome December! 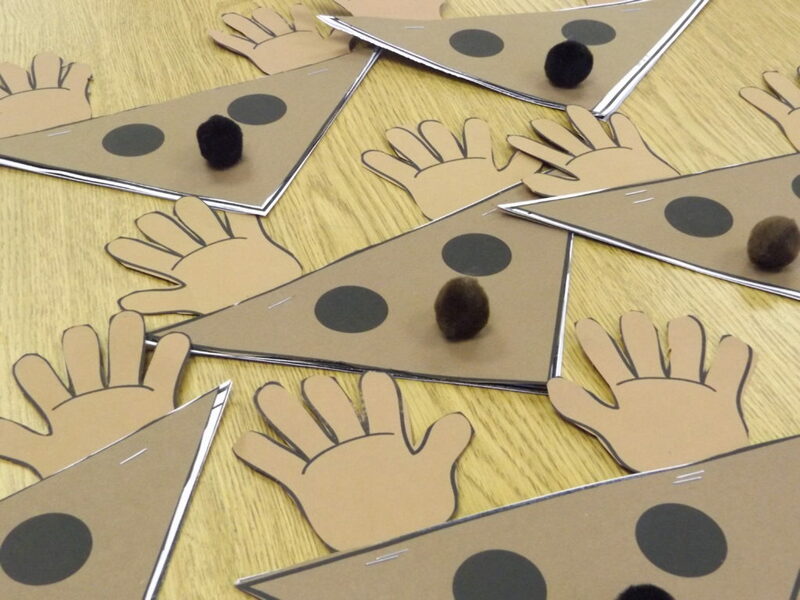 The first KinderLiteracy theme I will be covering today is the five senses! 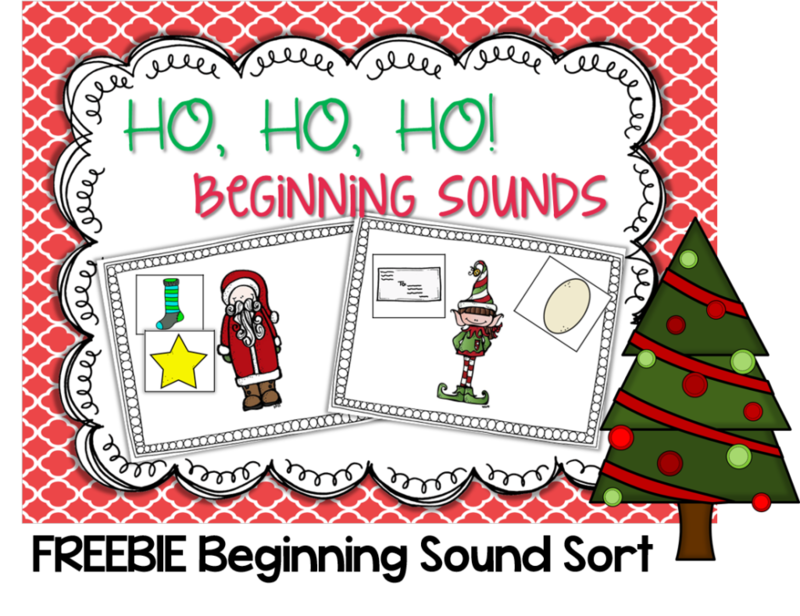 I know with all of the new great fall themes added…five senses got pushed to December! Honestly five sense work great ANY time of the year! 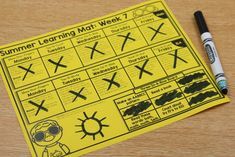 This KinderLiteracy week comes from Unit 3 and uses the text below as its main text. You may pair with any five senses text of your choice. 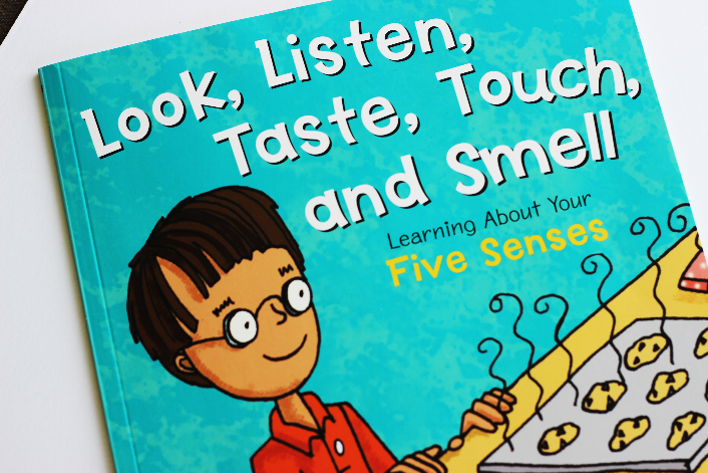 I have suggested the use of the book, My Five Senses by Aliki… that is though just a suggestion! For this week’s bubble chart I took a little different approach! 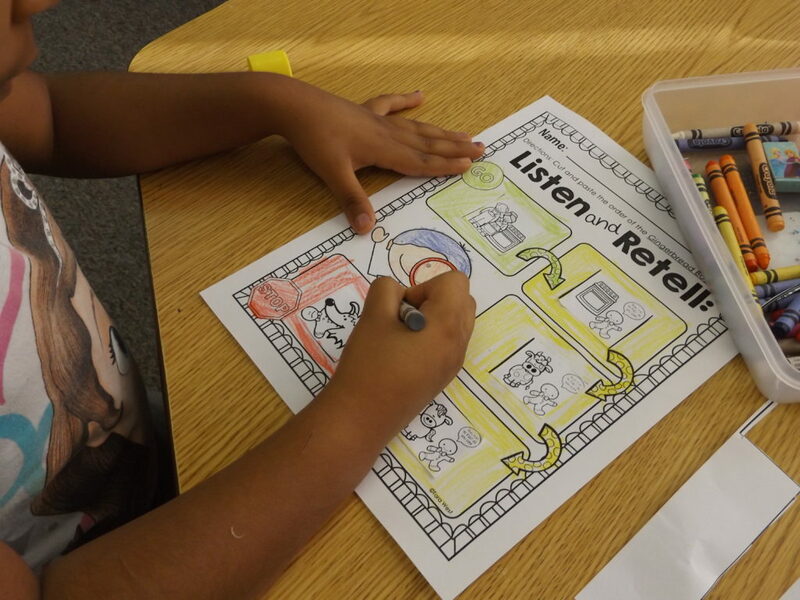 We decided to place “five senses” in the middle of the bubble chart. 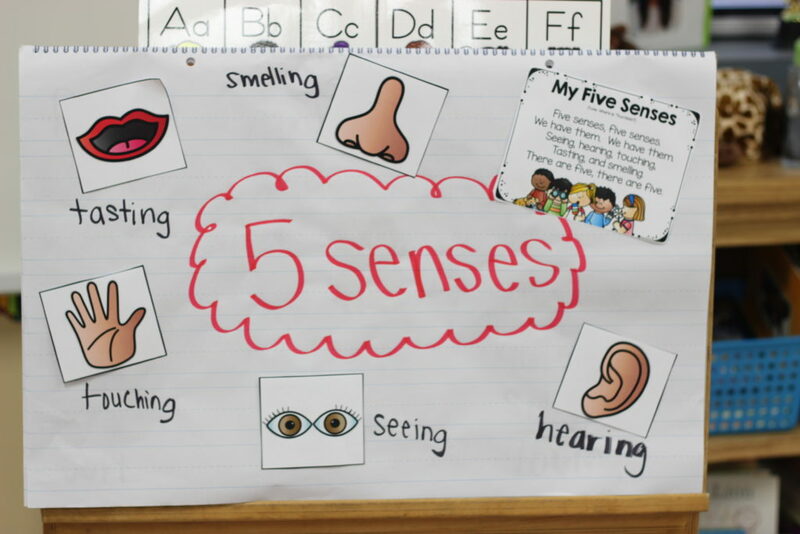 We then placed each of the five senses around the chart. We also decide to add the poem onto the chart as well! 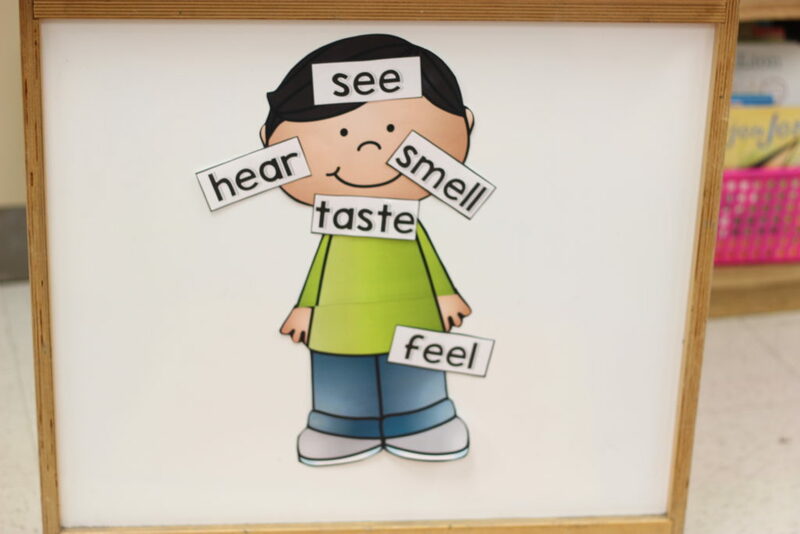 An alternate to the poster below would be to list each of the five senses across the top and list characteristics of each below! 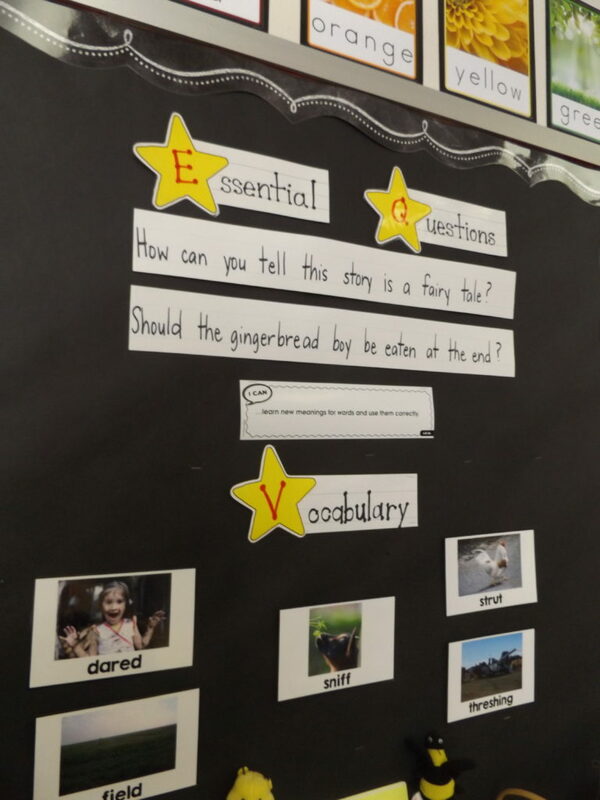 This week’s essential question stems around the students using the pictures to understand the meaning of the text! I think this is a huge area we can easily overlook. We always assume the students are looking at the pictures. However, it really takes our guidance to point out certain details. There are several text-dependent questions on day three that lend themselves to this! Questions 1, 3, and 5 all base themselves around the students using the pictures. Also, don’t be afraid to stop as you read through on days 1 and 2 if you notice something that you think the students should take notice of as well! Below are this week’s focus vocabulary words! I really like these words and think they require a lot more thought process time on the behalf of the students! crackle- use both sets of fingers and shake to resemble a fire. Then add on a popping sound effect. 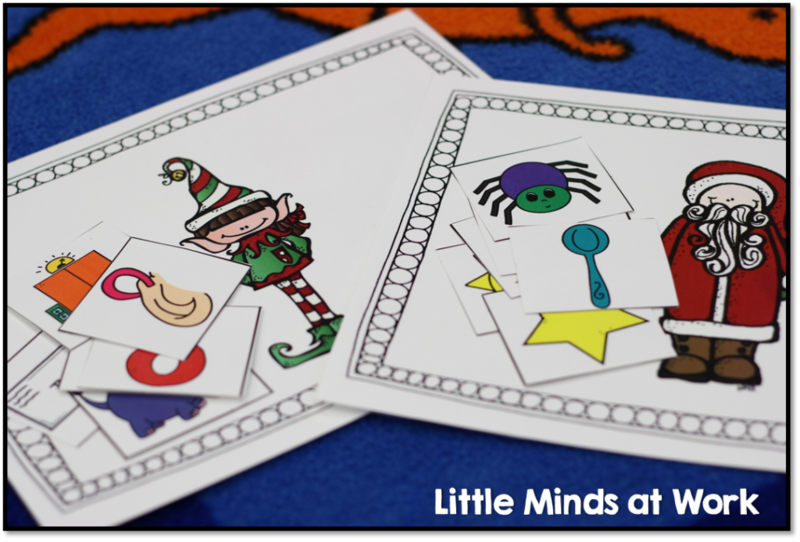 There is also this adorable labeling activity included within the unit! I attached him to the bottom of my cart so he would be near our bubble chart! 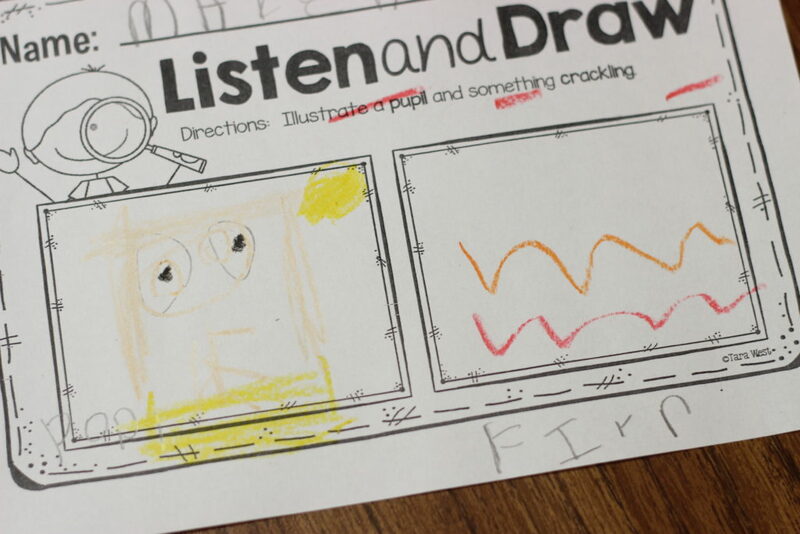 The kiddos helped to label him with the five senses! 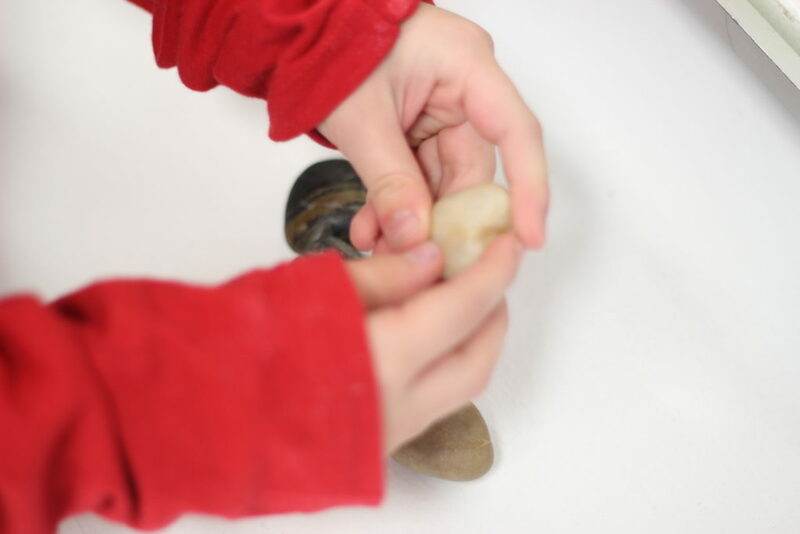 This week is a lot about hands-on experiences! One of our favorite ones that isn’t picture below is popping popcorn! 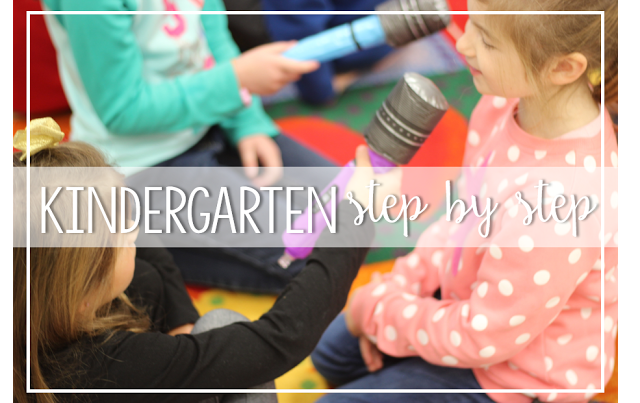 If possible bringing in an air-popper or hot plate where the kids can partake in the “listening” part of it is great! They always enjoy that activity for sure! 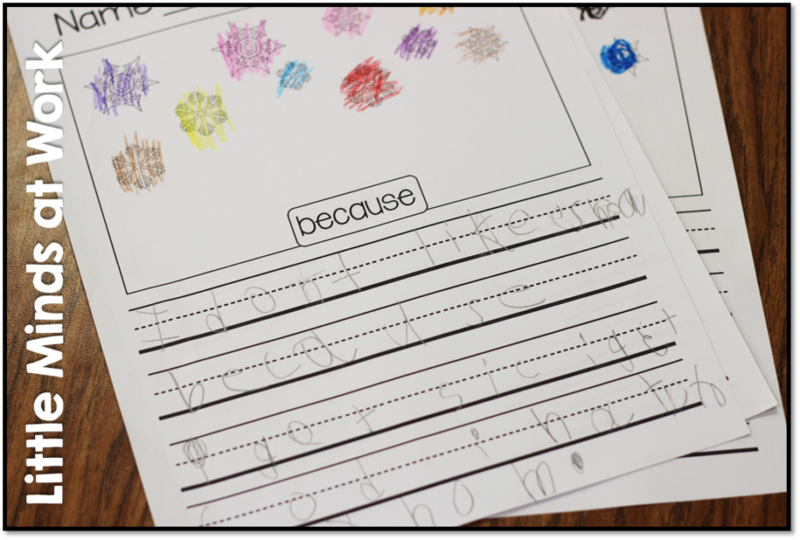 I also felt it was important to do an activity that relied solely on their prior knowledge as well! 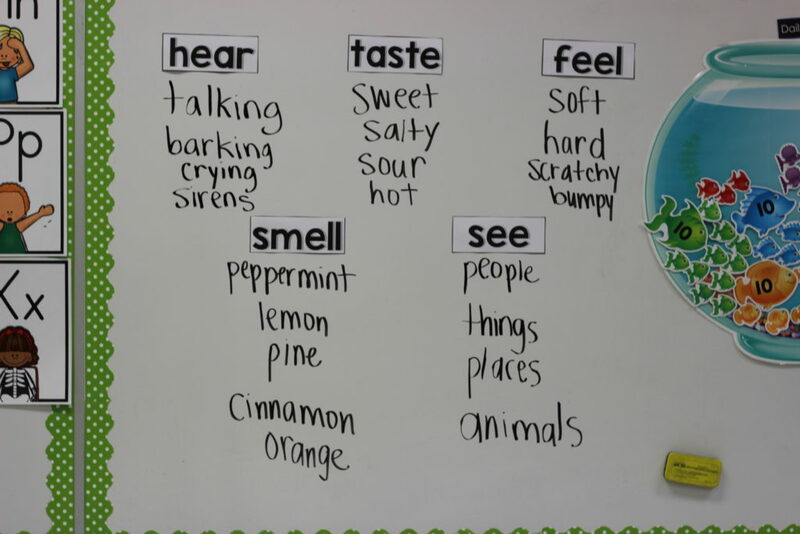 Below is a chart we made describing a dog, using our five senses! 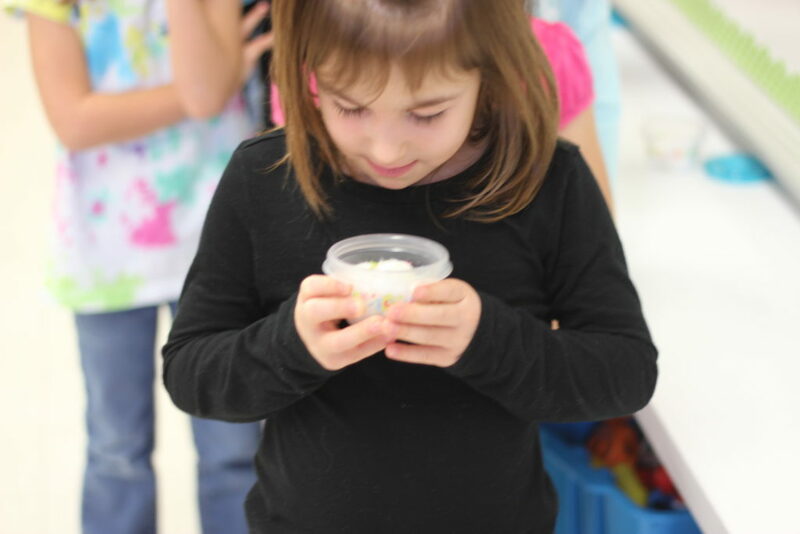 As a grade level, we also did another hands-on experience! 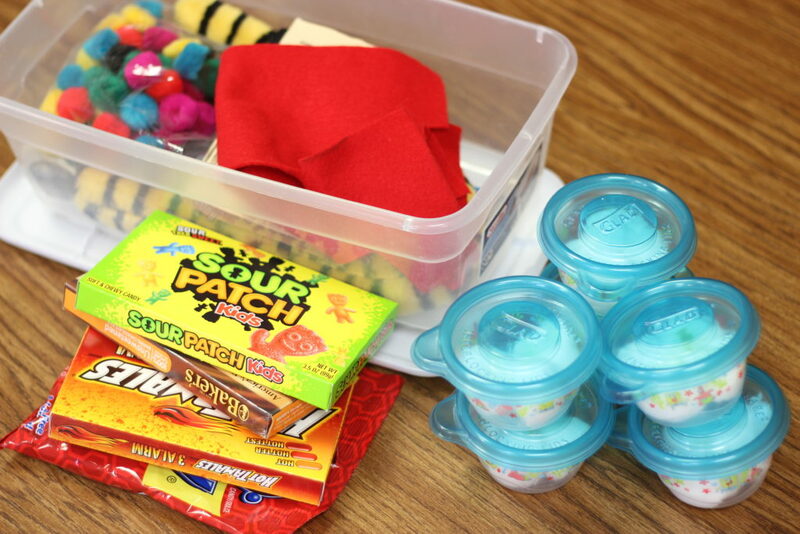 Each team member gathered items to resemble each of the five senses. We had a box of items for touch- pom poms, felt paper, sand paper, etc. 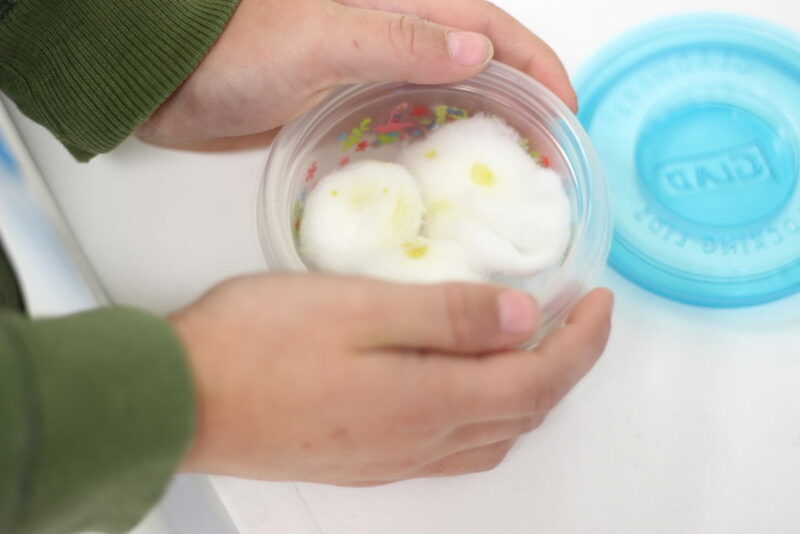 We had little tubs with cotton balls. In each tub were common essential oils. For taste we had a few different items (but I would recommend playing around with those choices). 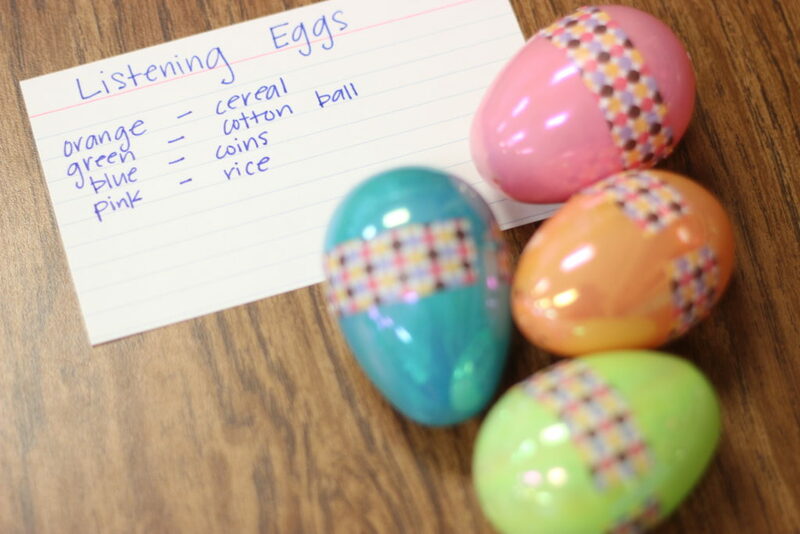 For sound we had small Easter eggs with different items in each. For see we just made observations around the classroom. Below you will see the supplies for the above mentioned activity! I put out the materials and we did a sort of “assembly line” approach. I wanted to do this so that we all experienced the same one and then could come back to describe it and note it on the board. We then charted each on the board! 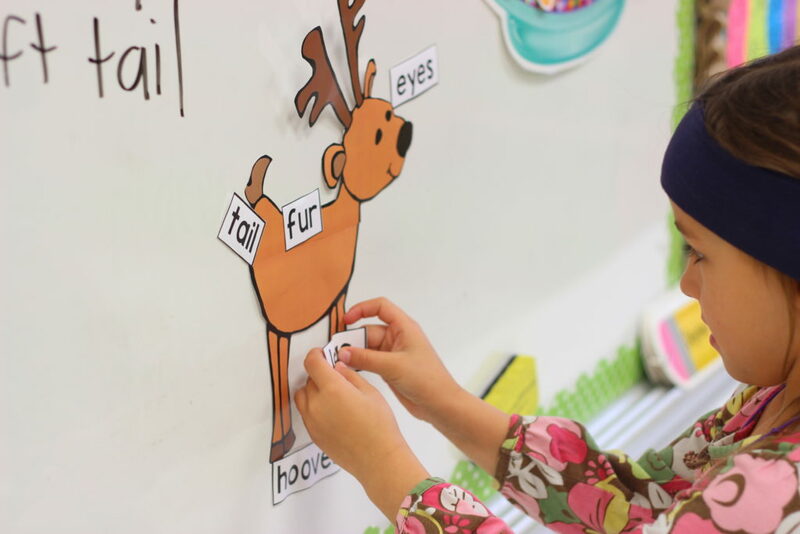 Up next is a new KinderLiteracy theme….reindeer! 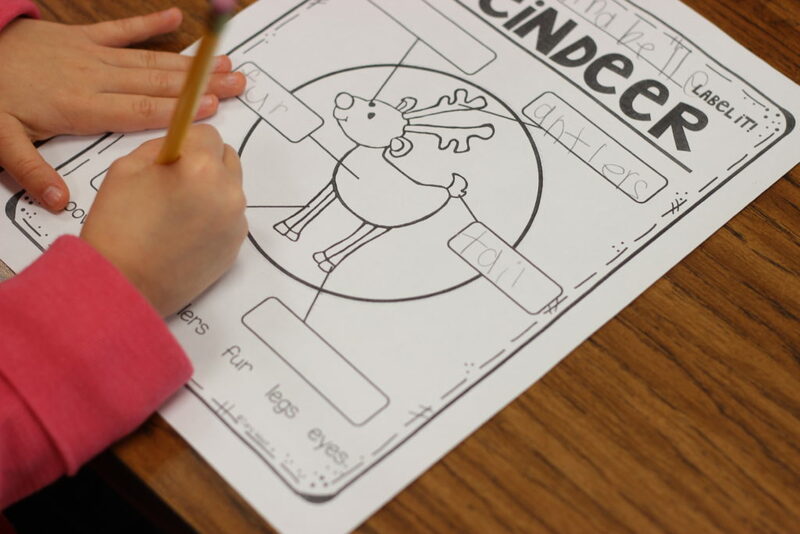 Who doesn’t love learning about reindeer at Christmas time? 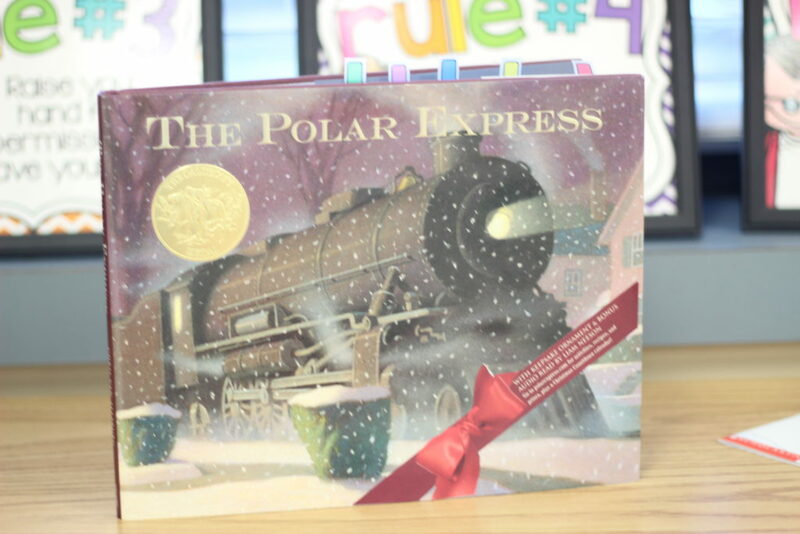 This close read is special because it is a nonfiction approach to the beloved Christmas favorite! 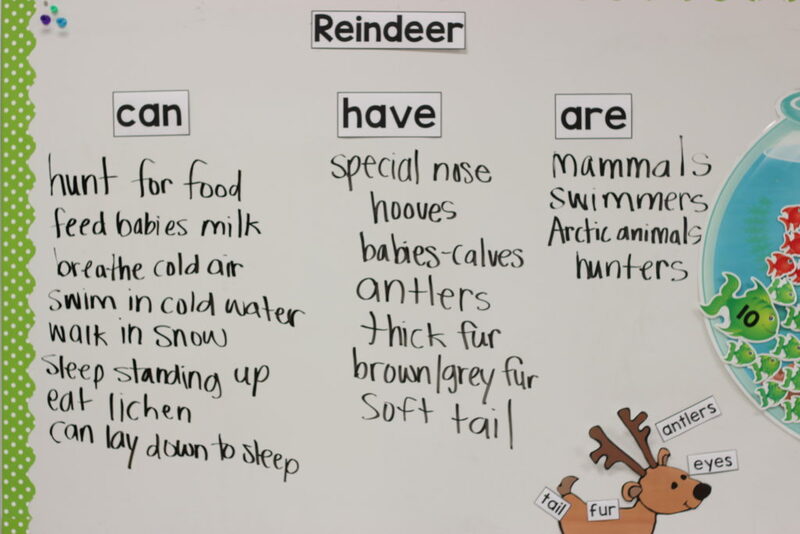 I am always so surprised about how much knowledge the kiddos learn when it comes to reindeer! 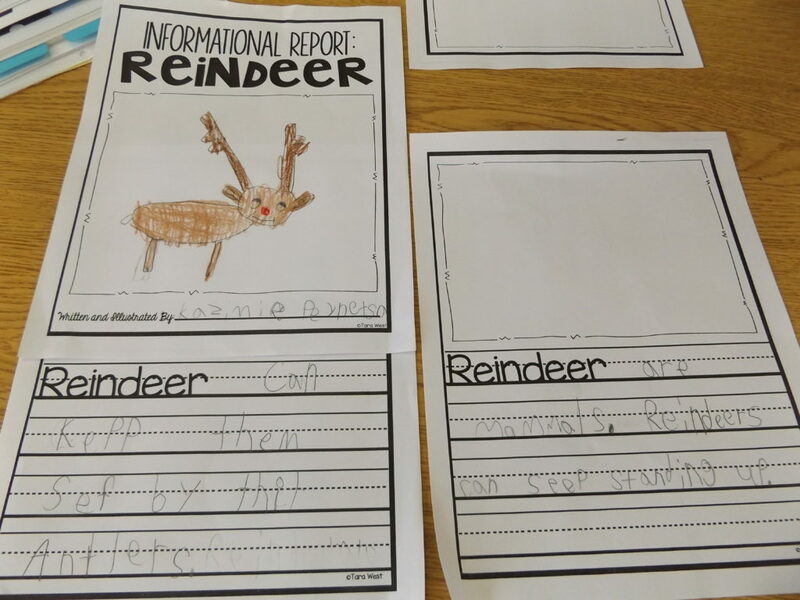 The reindeer close read is also part of unit 3! The main text is shown below. You have the choice to use any paired text you’d like. I kept it open in case you wanted to insert your favorite fiction book or chose to keep it a nonfiction approach. 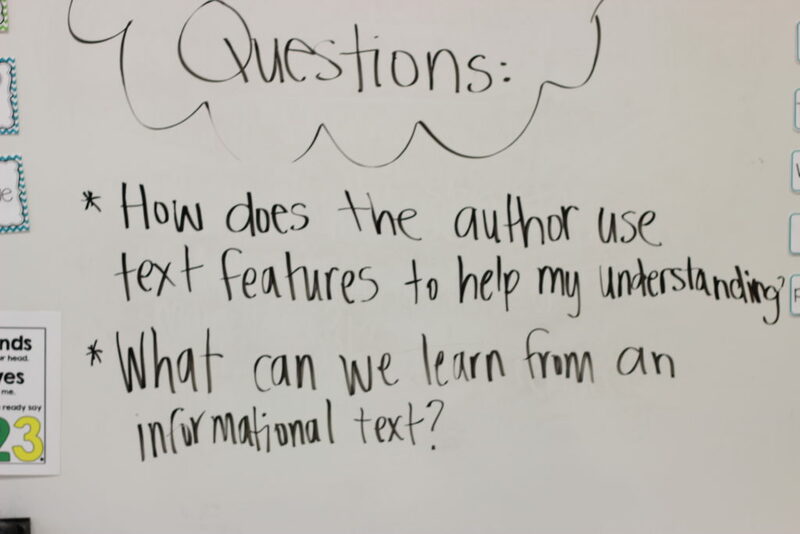 You can see below that this week’s essential questions is all about nonfiction text features! 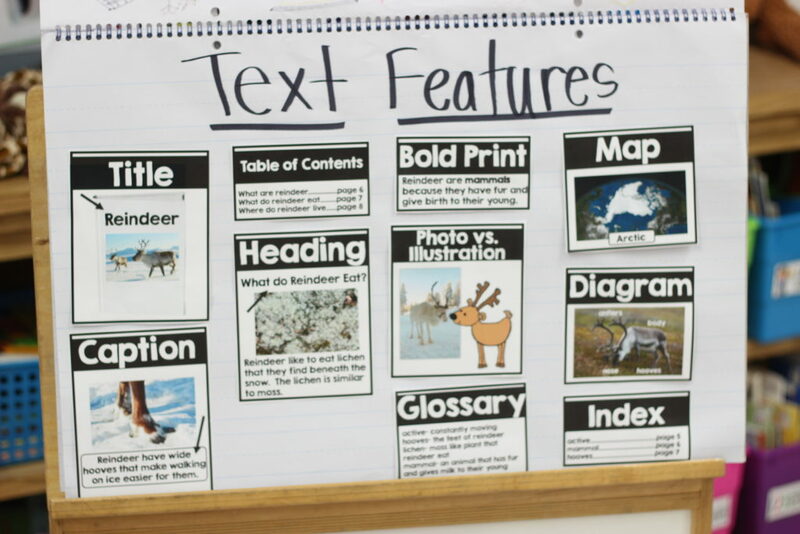 I used to cringe at the thought of teaching text features to my kinders! However, we close read and a GREAT read aloud… it’s actually FUN! 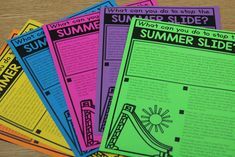 Along with the essential questions.. the students are also asked specific text-dependent questions that align to the focus this week! 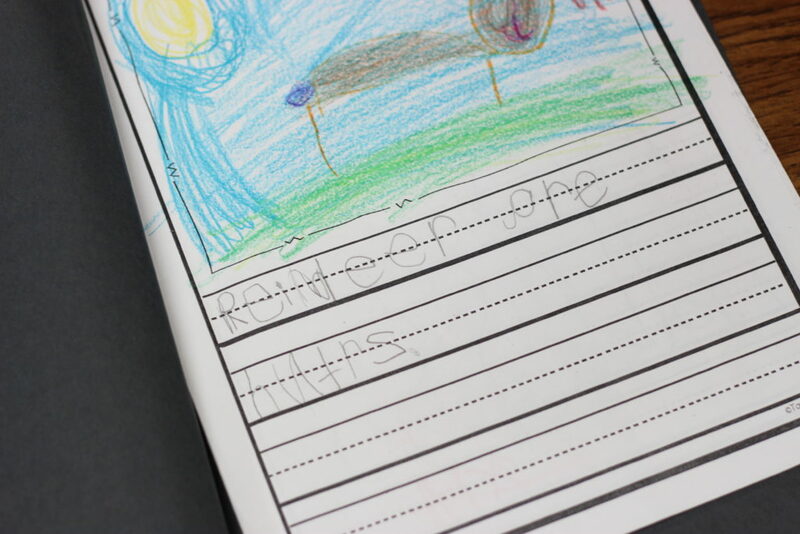 They are asked about the labels, bold words, maps, and photographs verses illustrations. 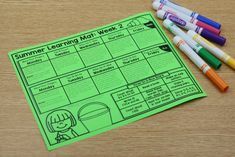 I also created the anchor chart pieces below for you last year! You can download these for free HERE! 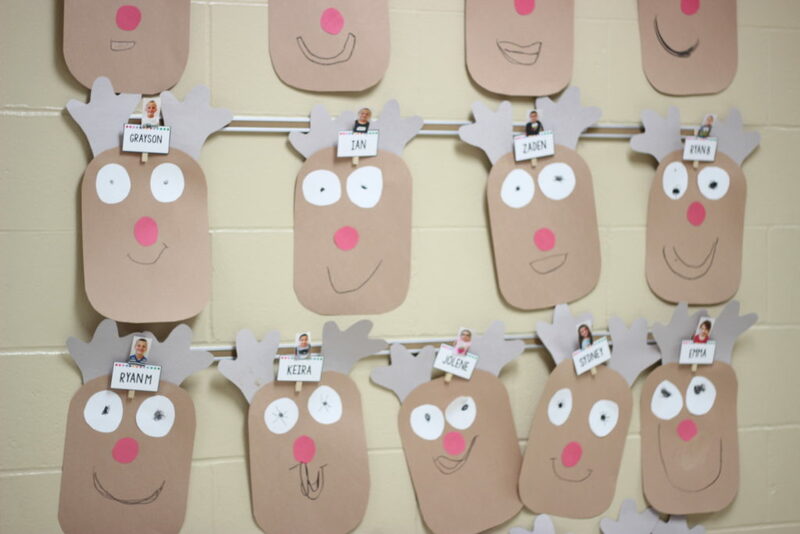 I made them specifically for reindeer week so you’ll see they all match the theme! These are “faked out” pieces so some information isn’t exactly like the text. I am not able to recreate from the actual text for copyright reasons. 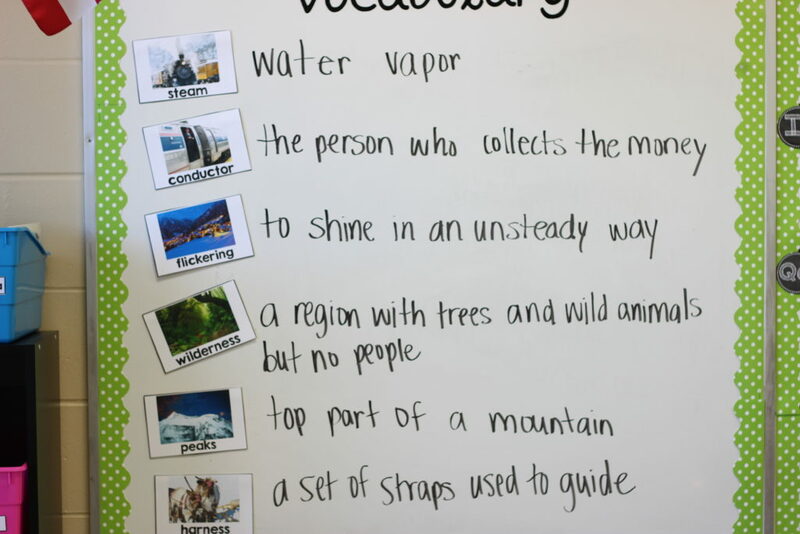 This week’s vocabulary words are all theme specific! Below I will share options for the vocabulary actions! 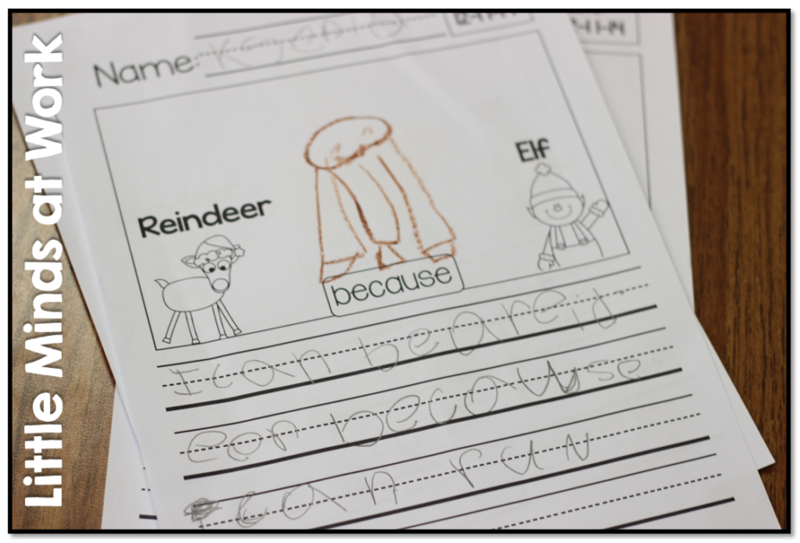 We also worked on a reindeer can/have/are chart! 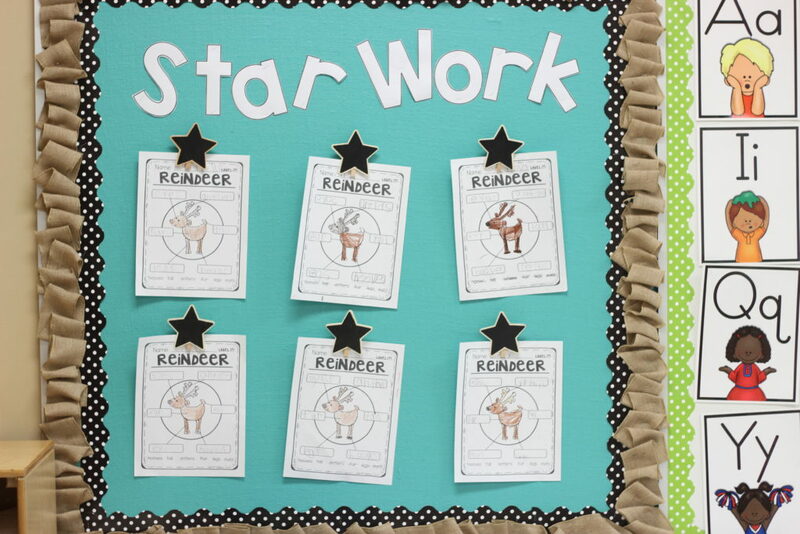 Also included in the units is this “label a reindeer” activity! 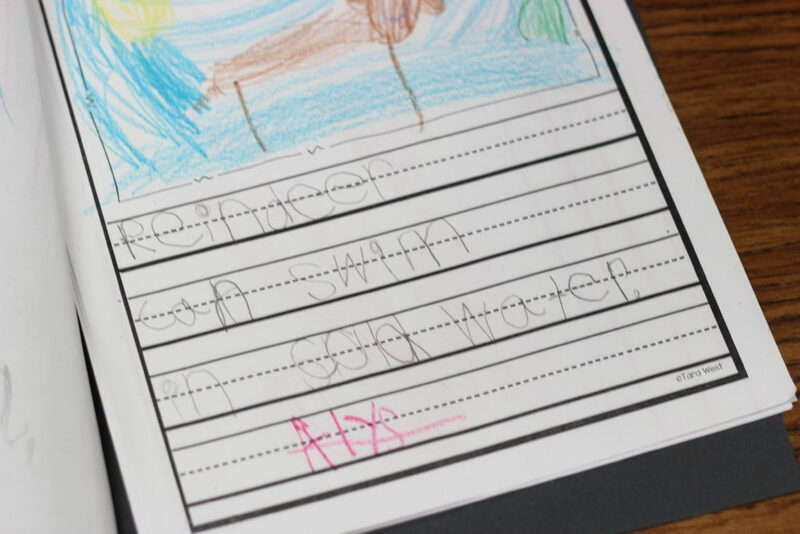 The kiddos also have a follow-up practice sheet to match! Again, working on those nonfiction features like labeling! And their hard work on display! This week’s craft also doubles as a Christmas tree ornament! However, we couldn’t stop there! 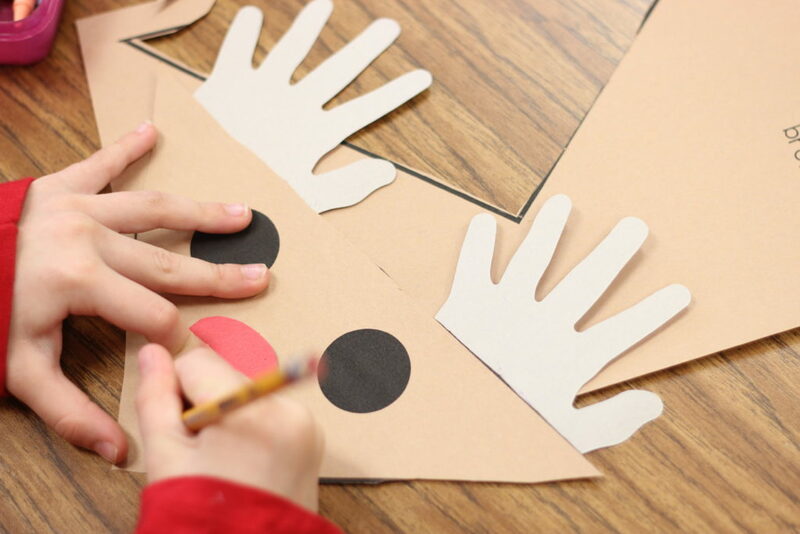 We also made these ADORABLE reindeer crafts from First Grade Blue Skies! Here they are on display out in the hallway! 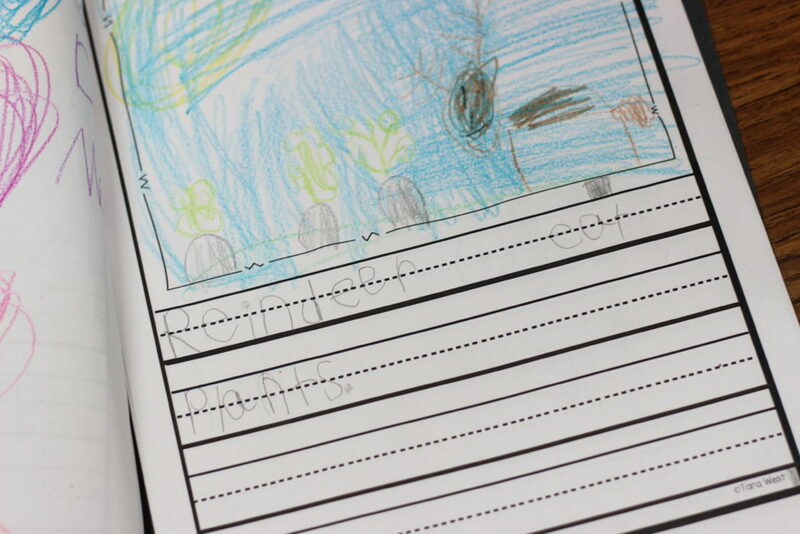 This week’s writing project was of course NONFICTION reports! 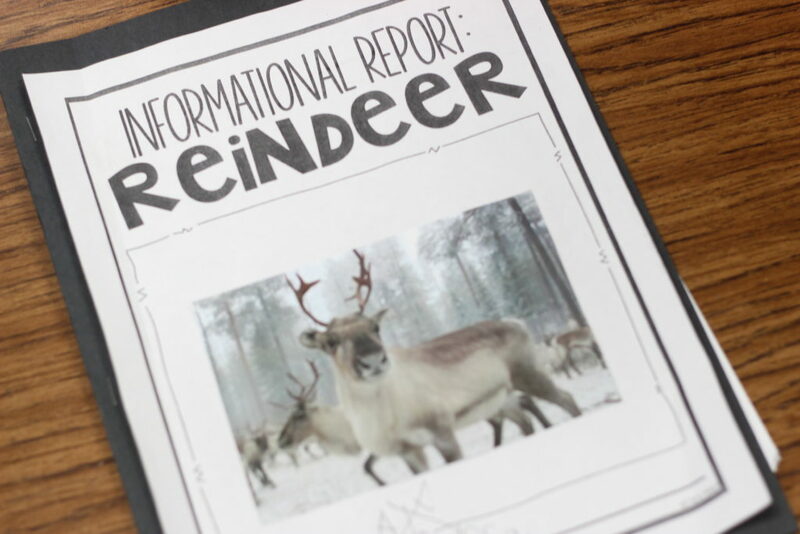 I will never forget a few years ago when we started close reads…this reindeer report was our first try at a nonfiction report so ‘early’ in the year! I remember being blew away then and still stands today! 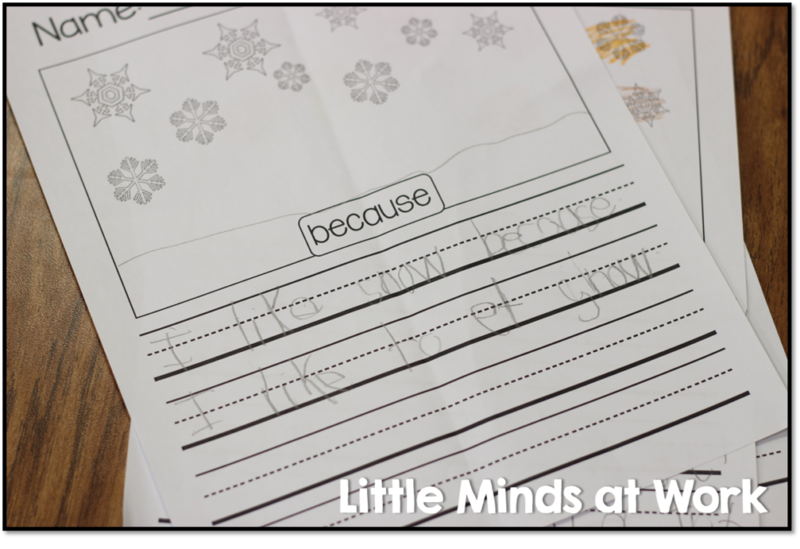 Their love for nonfiction writing certainly warms the heart! 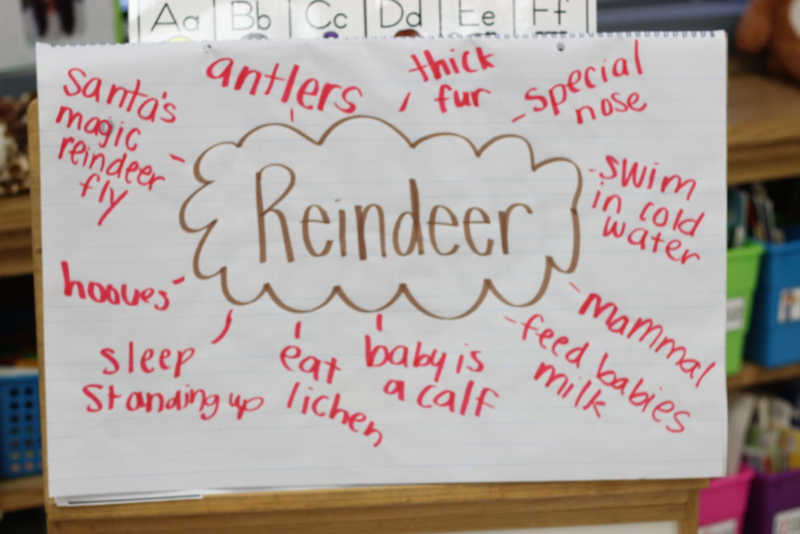 Reindeer can swim in cold water. 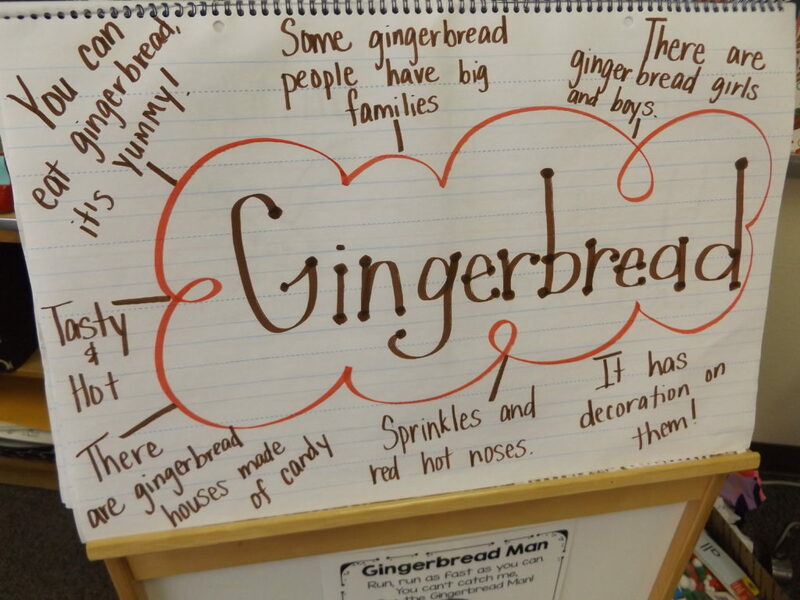 It’s now time to moved onto the next KinderLiteracy theme- – Gingerbread! I mean come on…. 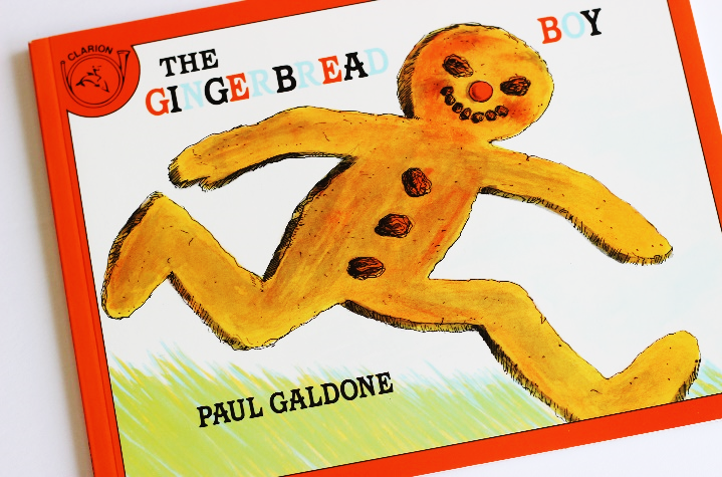 it’s just not December without the gingerbread boy/girl/etc! I love to use the classic Paul Galdone version for the main text. I then leave it open for you to insert any additional text version you’d like on Thursday! Below is a look at the gingerbread week bubble chart! This week’s essential questions focus around the framework of a fairy tale and then moral/lesson of the story! 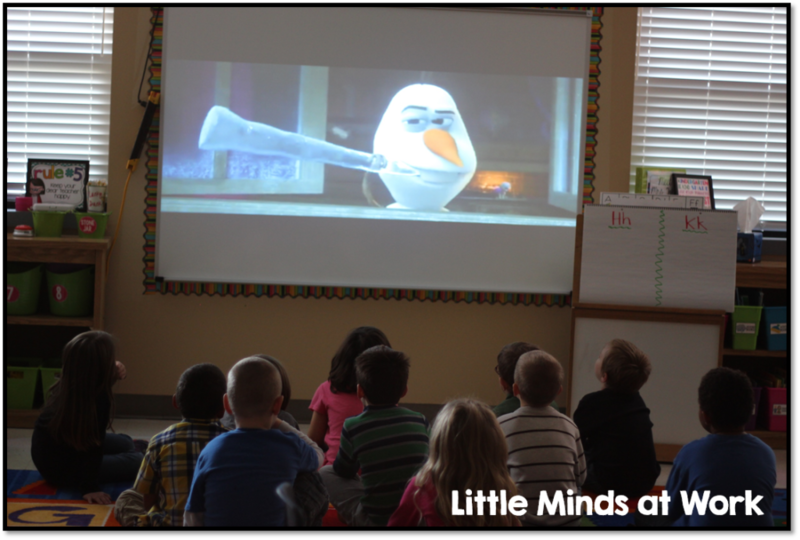 The kiddos will pick up on the moral/lesson quickly! To help the kiddos better understand the framework of the fairy tale… I like to provide MANY versions of the story to them! I use both additional texts and sometimes videos as well! 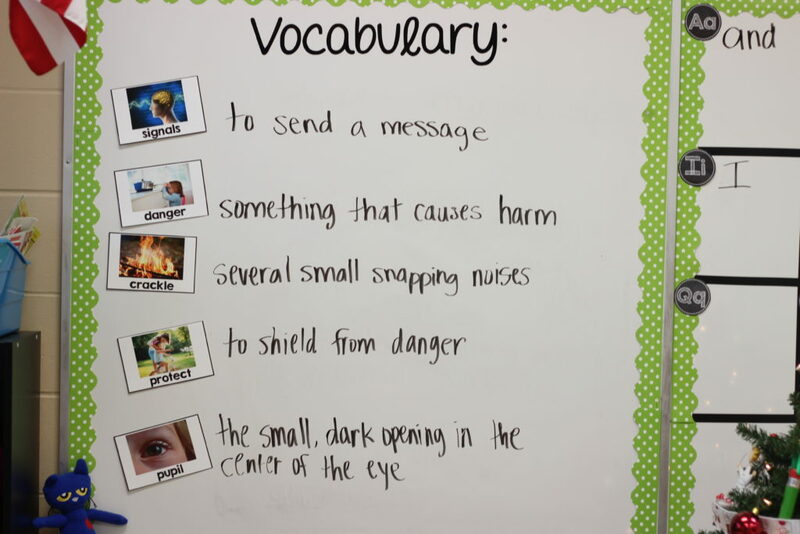 Below are this week’s vocabulary words! I will also give suggestions for the vocabulary actions. 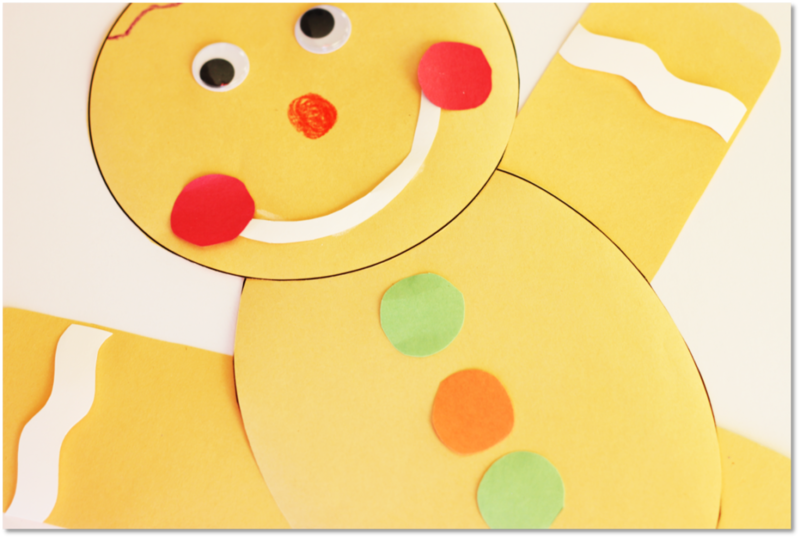 This week’s craft is an adorable gingerbread boy or girl! 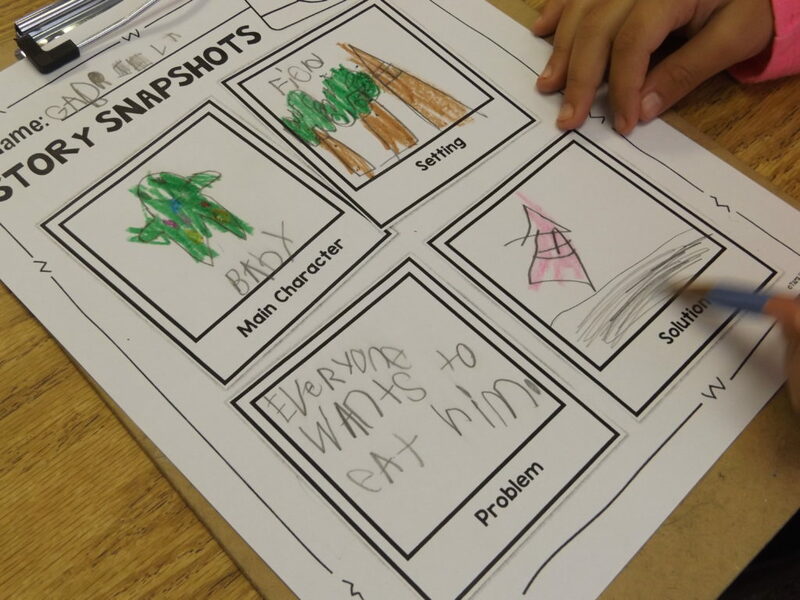 The students also have an opportunity to work on story retell! 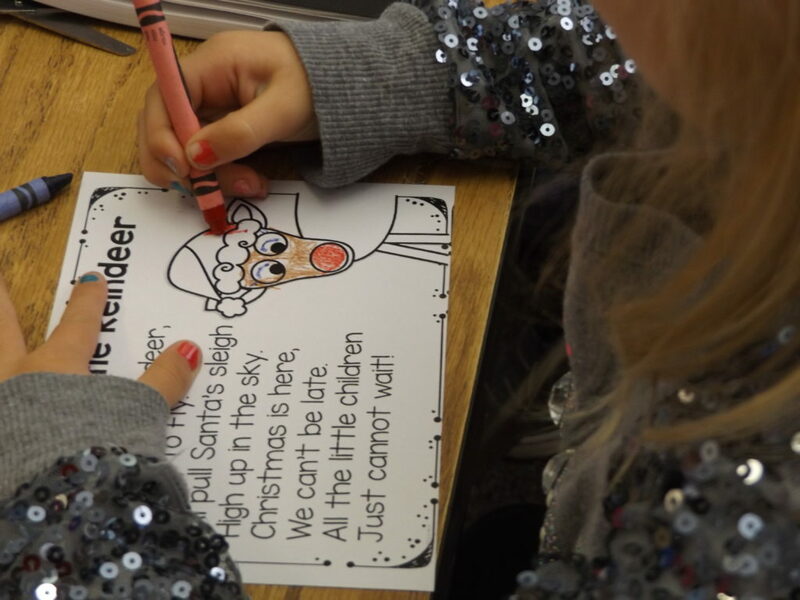 It is off to the last KinderLiteracy theme for December– The Polar Express! 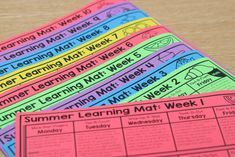 This theme was added last year and can be found in your Supplement Unit 8. 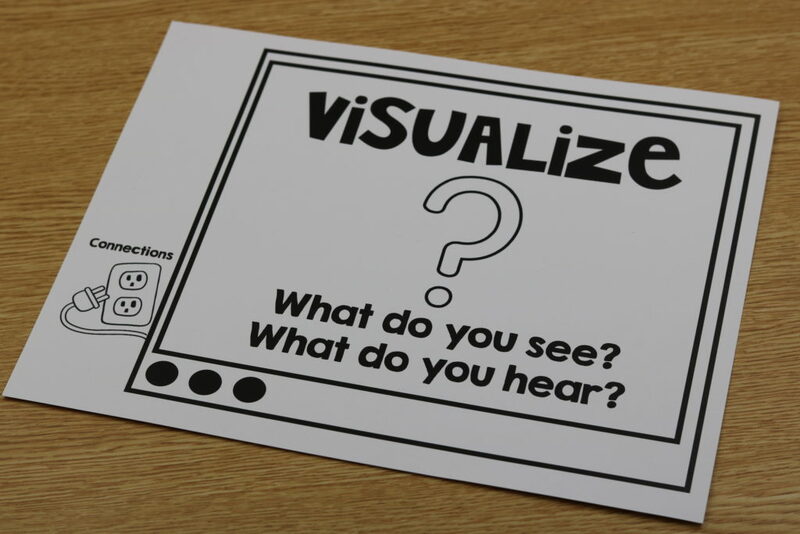 This week the students are asked to tell how the story tells a picture in their minds…. or basically how to visualize the story! 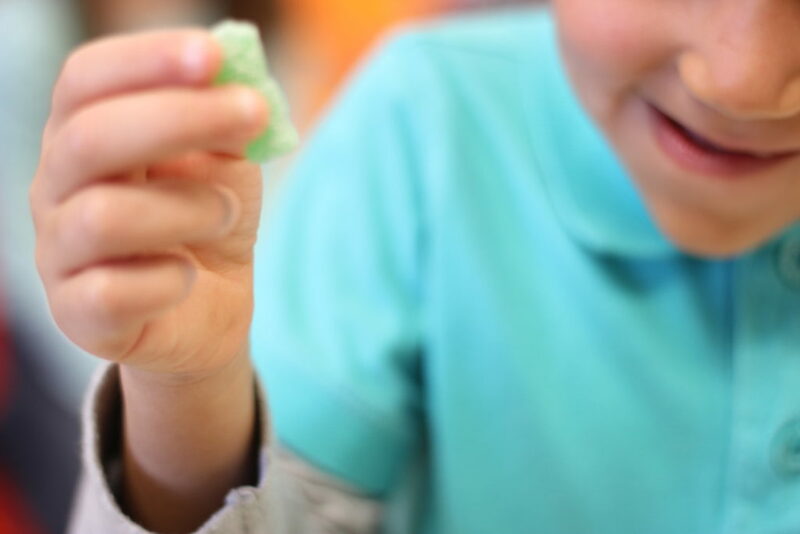 This can sometimes be a tricky task for young learners. In order to help my kiddos better understand what it meant to visualize i illustrated an “old” TV on the board. The “V” is for visualize but frankly you could leave it off and just pretend it is a flat screen TV…which is all they know! HA! 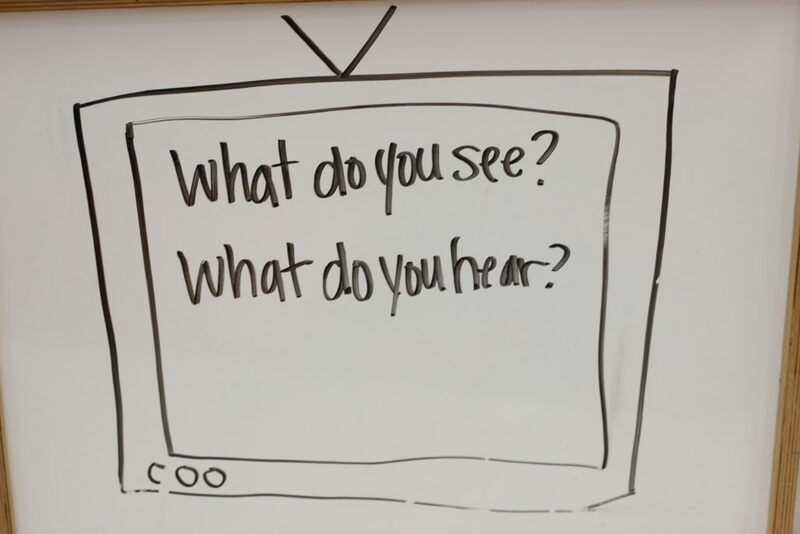 Inside the TV you write the words, “What do you see?” and “What do you hear?” The helps kiddos to understand that visualizing simply means seeing the book play out in their mind like a movie. You can also snag this printable version of the poster! It’s a freebie can be downloaded HERE or by clicking the image below! 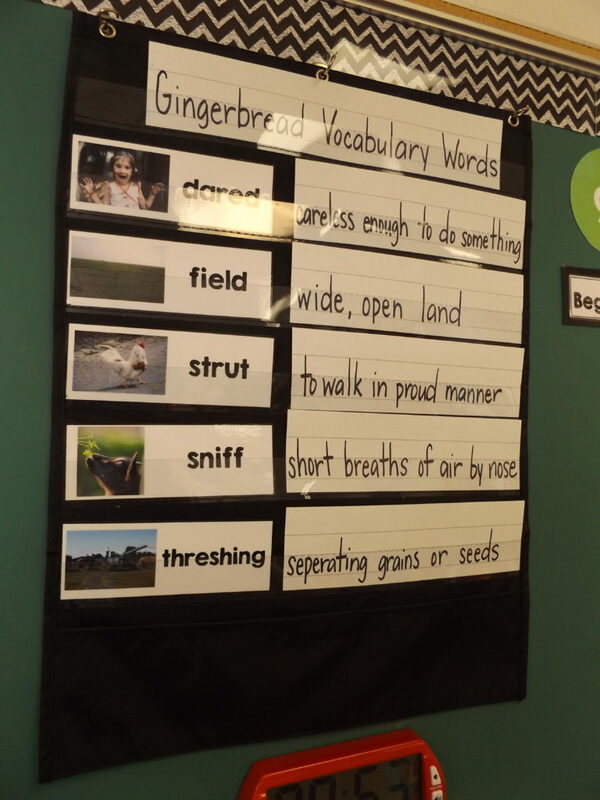 This week’s words are fun ones and the kiddos really enjoy them! Below I will also give an action suggestion for each! This week’s craft is a fun one! 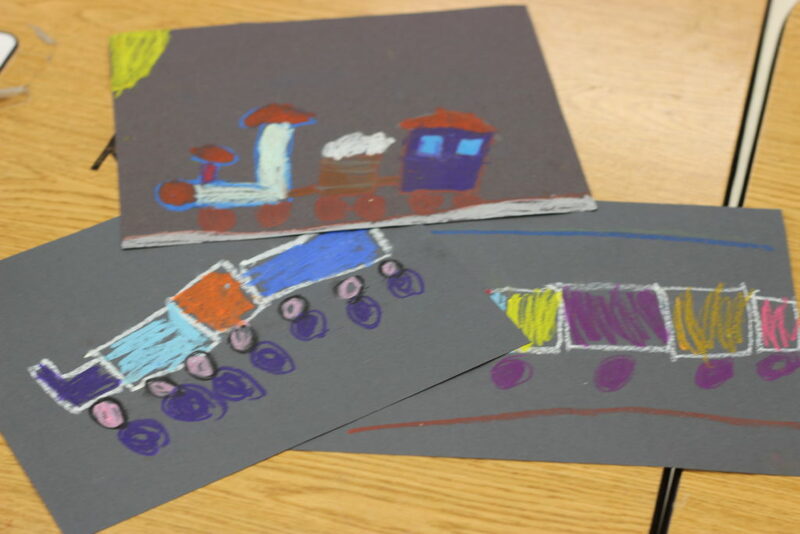 The kiddos get to use oil pastels to create trains! 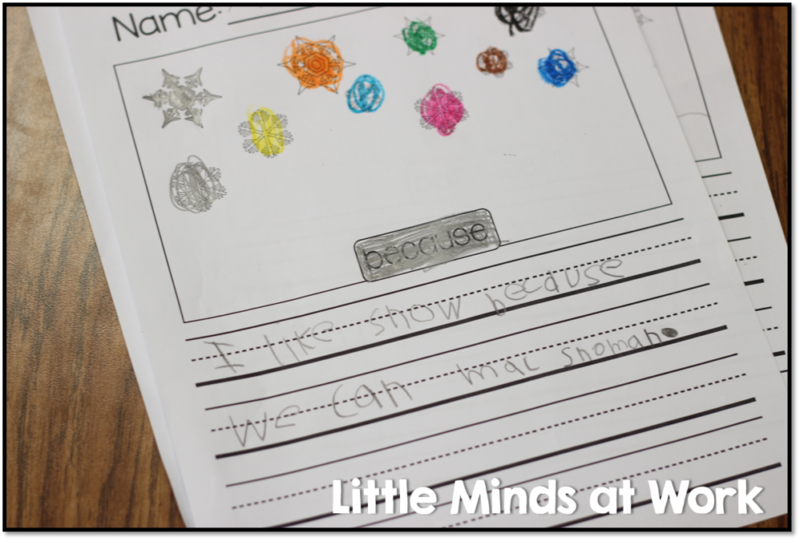 This idea comes from Miss Kindergarten! 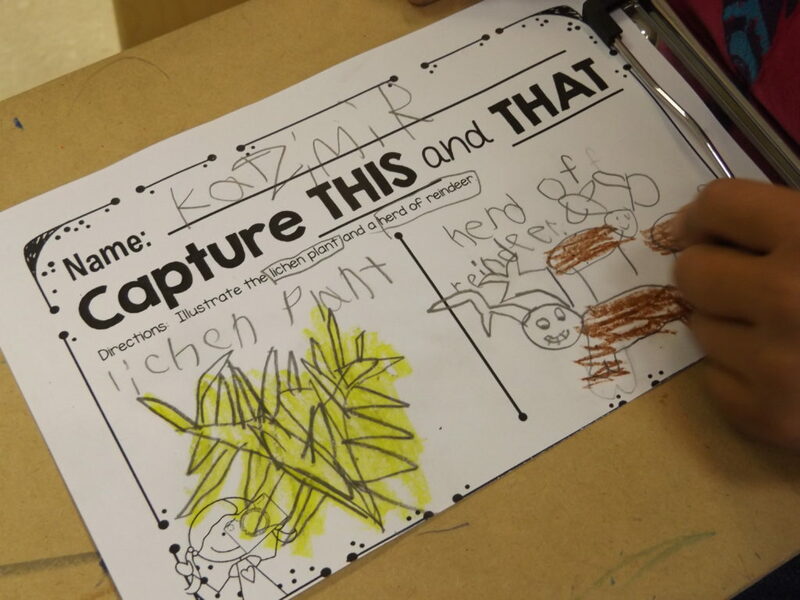 That wraps up our KinderLiteracy focus! 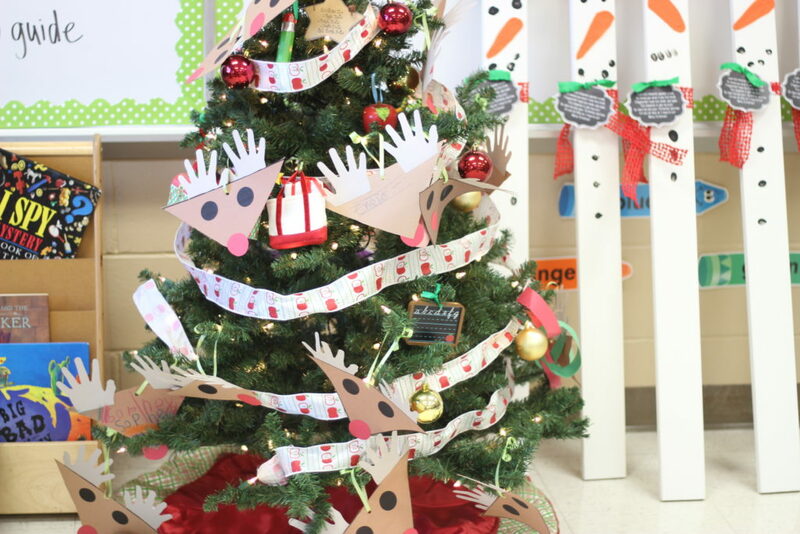 I will be sharing some additional ideas for December! Then, I will share some awesome freebies! 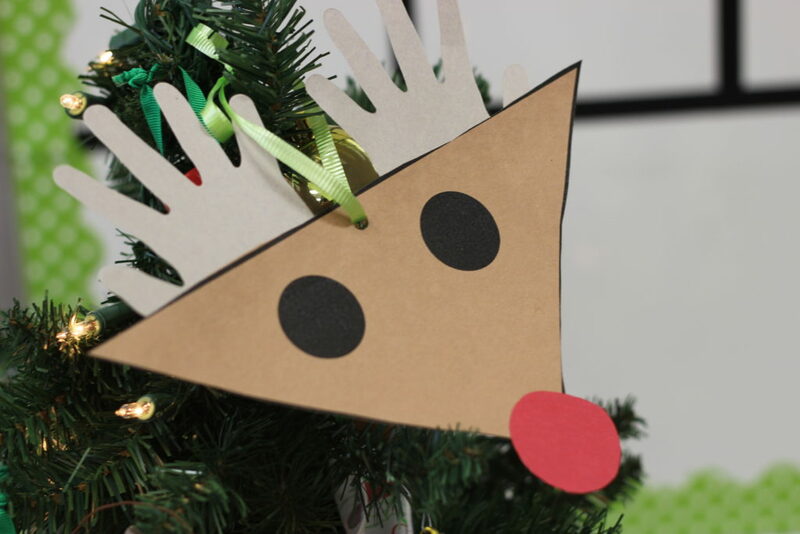 Up first is this fun fine motor Christmas tree craft! 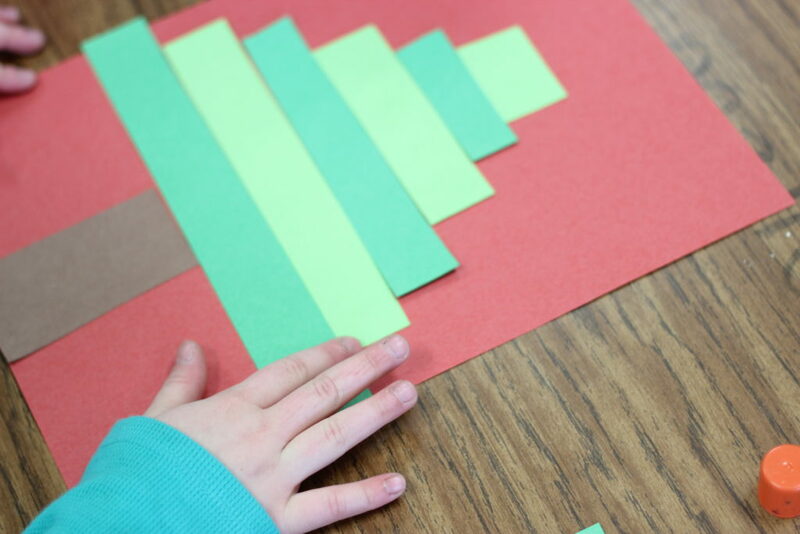 For this craft, the kiddos need access to dark and light green strips of paper. They also need a red sheet of construction paper as their “backer”. You can also place a star on top! 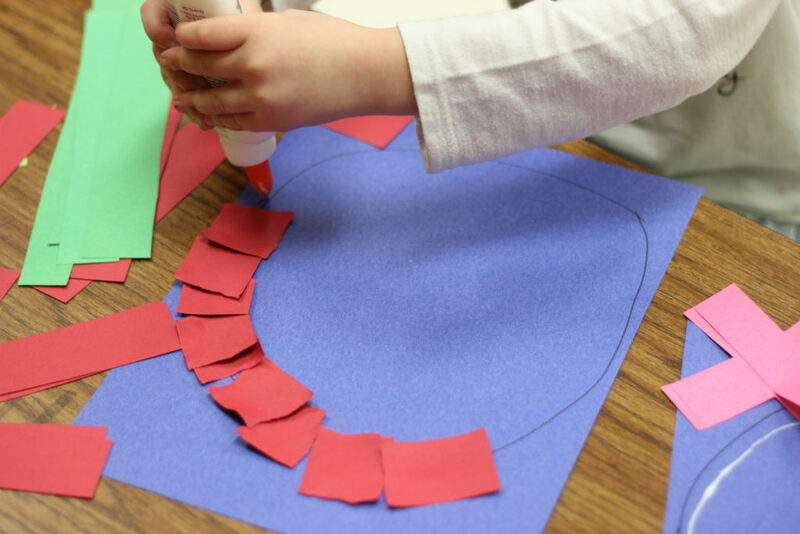 Next, is another fun and exciting fine motor craft! 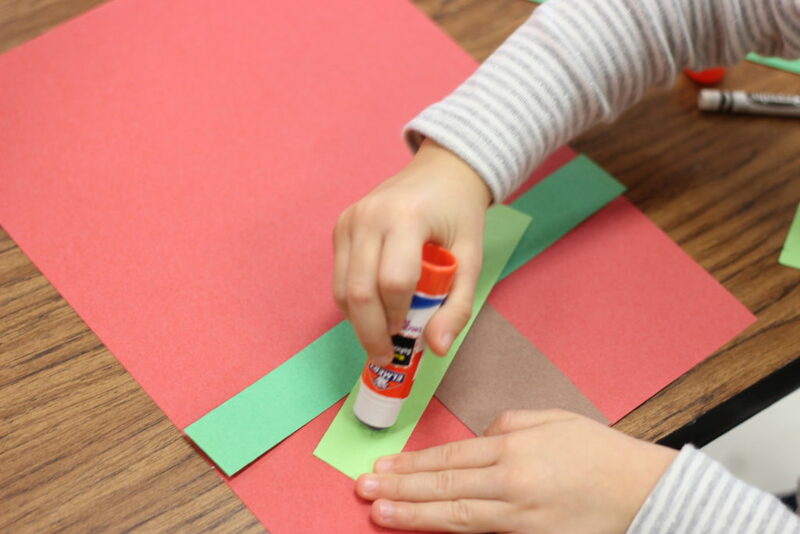 This craft the kiddos will need strips of red and green paper. 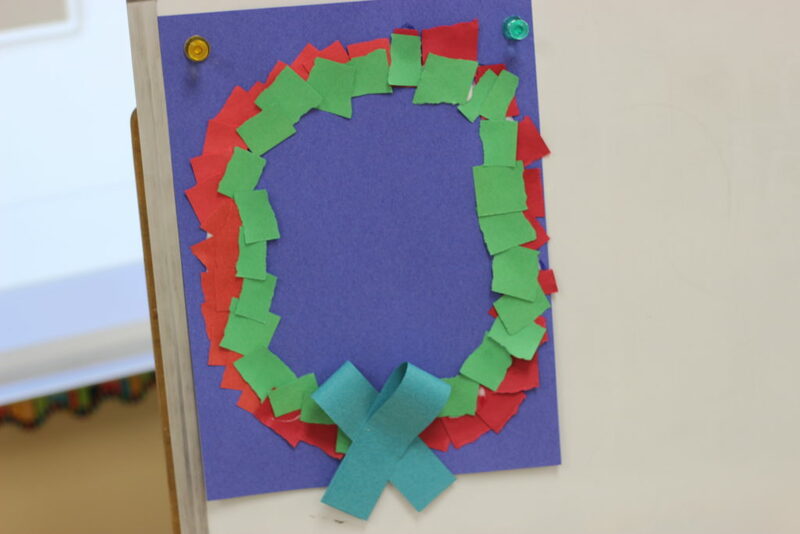 The students will tear small pieces to create a Christmas wreath. 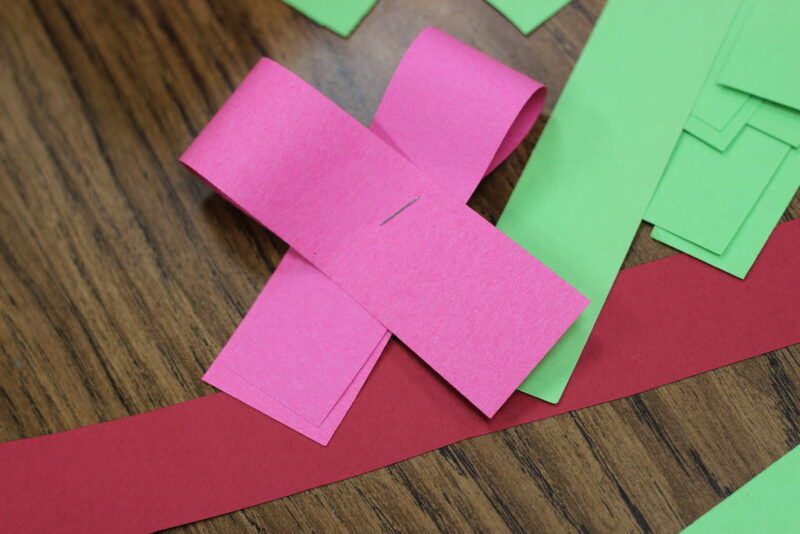 You will also need two additional strips to create a bow! 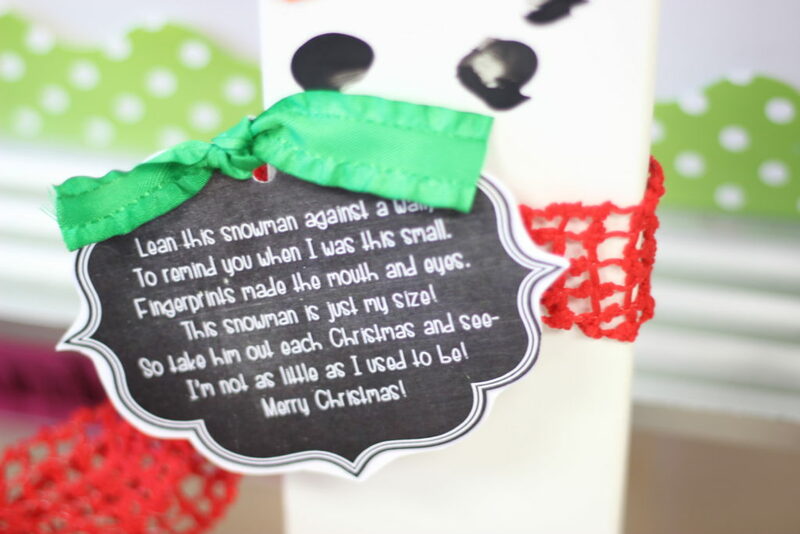 Next is an idea Deedee shared for an adorable parent Christmas gift. I did this one the past two years and it was so great! 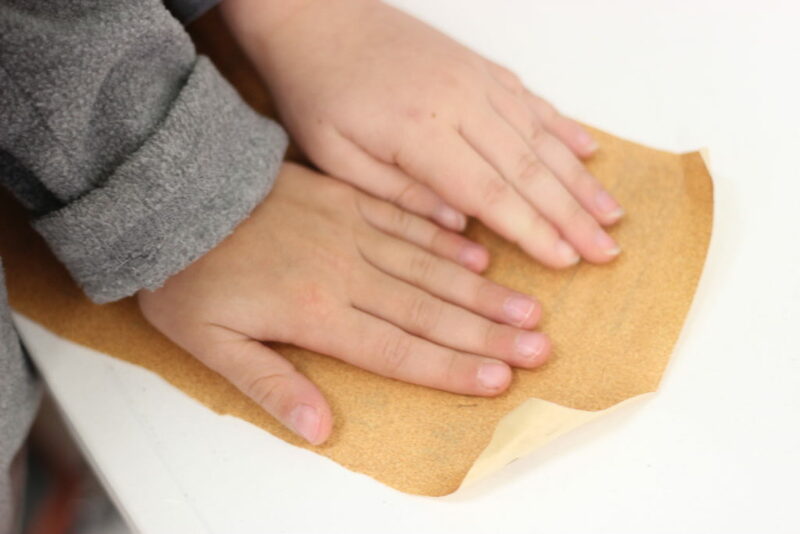 Deedee shared the how-to, and the cute tag on her blog…click HERE to view her post! 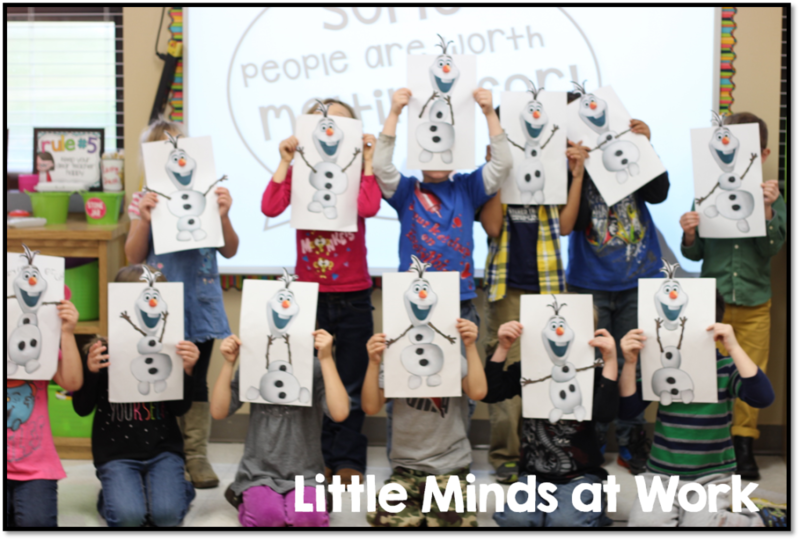 Here are our snowmen from last year! My husband did the hard labor and the kiddos did final touches! After getting the boards purchased and painted I needed one sock per snowman, one sheet of orange felt, black craft paint, and ribbon! 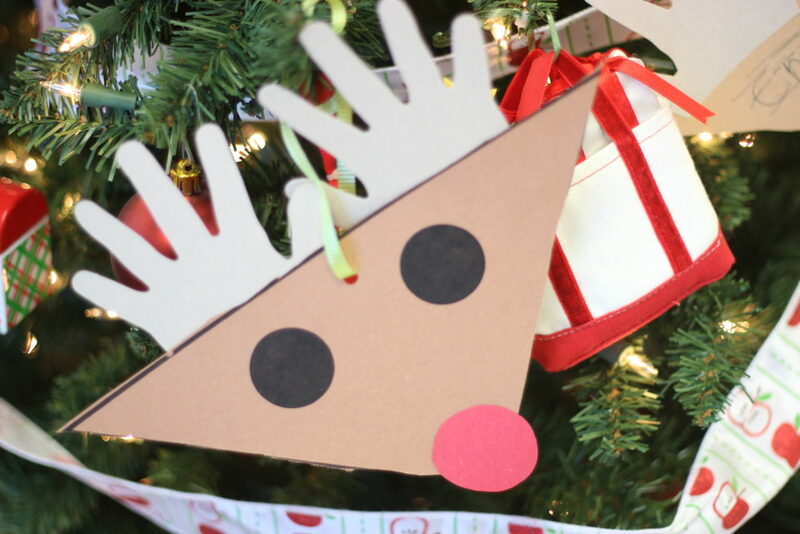 I also mentioned above my reindeer craft turned ornament! 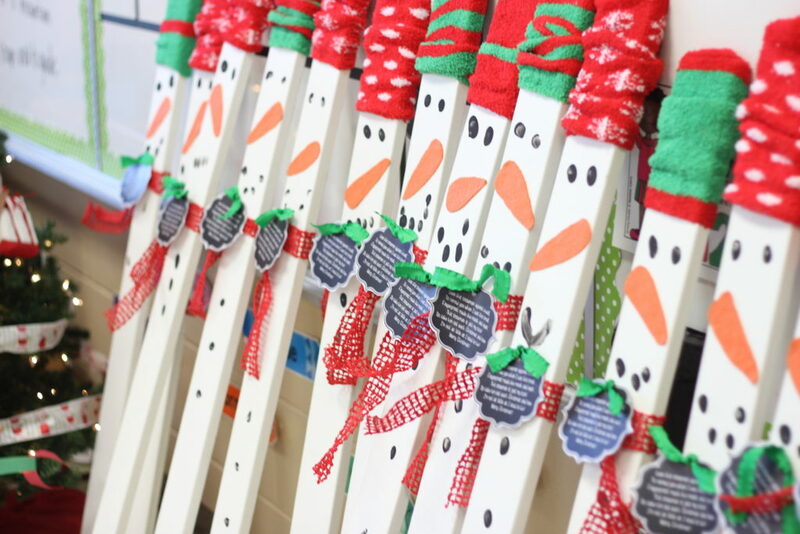 This craft can be found in KinderLiteracy Unit 3 and my Kindergarten December Taking back weekends packet! Now it is time for some additional Christmas freebies! This is a quick center to prep! Click the photo below to grab this **freebie**! 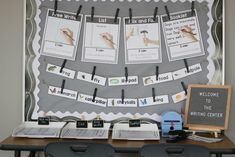 At my school we test fluency using AIMS Web…similar to Dibels! 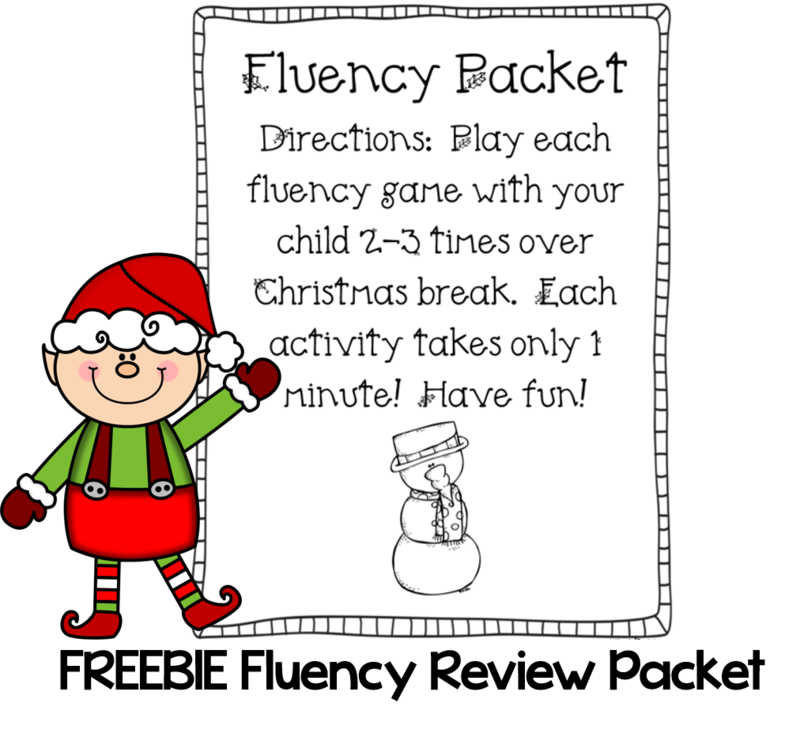 I love to send this fluency practice packet home with my kiddos over the Christmas break because we test after students return! You can download the freebie HERE! Another great idea for December is connecting to fun stuff because you can clearly have fun in December! 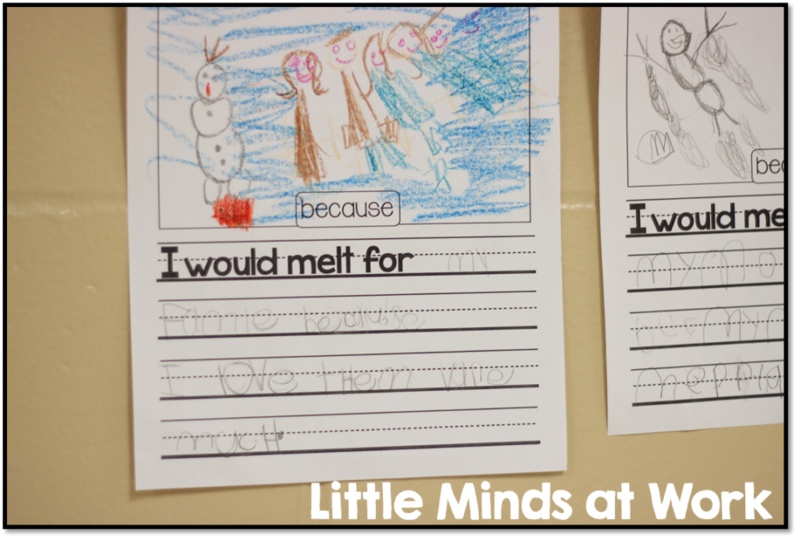 We will be writing these “Who would we melt for stories” again this year + making the adorable Olaf craft! First off we will…watch just a snippit from the Frozen DVD HERE…the part where Olaf sits by the fire and starts to melt. Olaf says, “Some people are worth melting for.” We will then discuss those in our lives that are so special to us..special enough that we would melt for them! 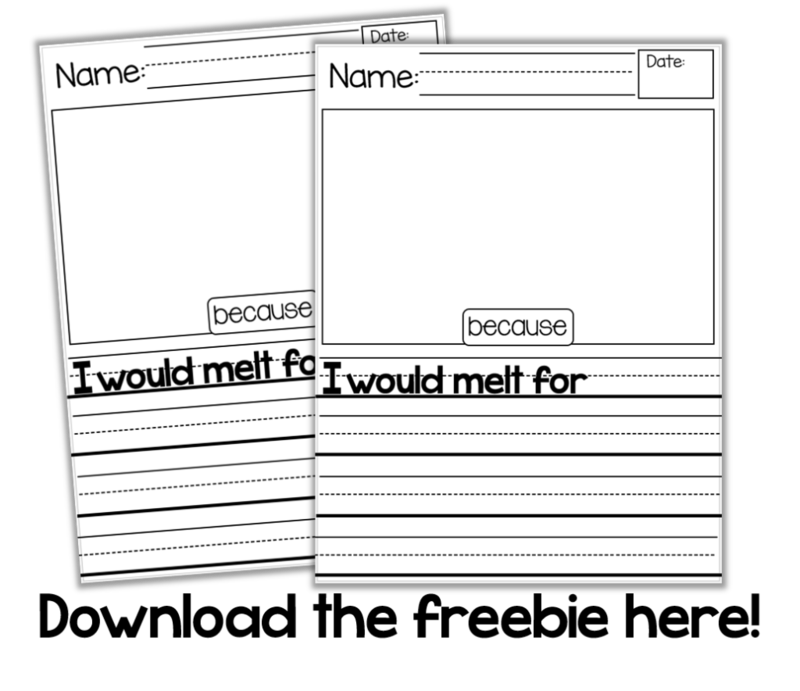 Students will the write about who they would melt for and why. You can snag this freebie writing prompt below! :)Here are some snapshots from last years’ kiddos! I would melt for my family because I love them very much. 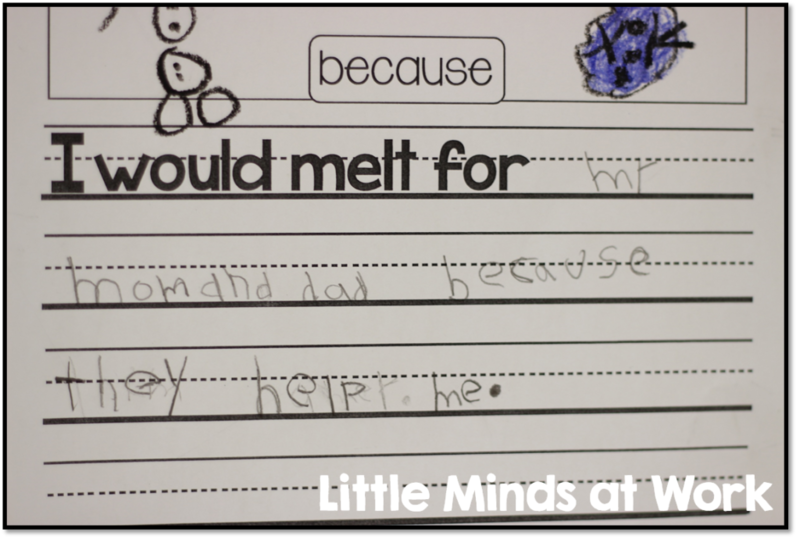 I would melt for my mom and dad because they help me. 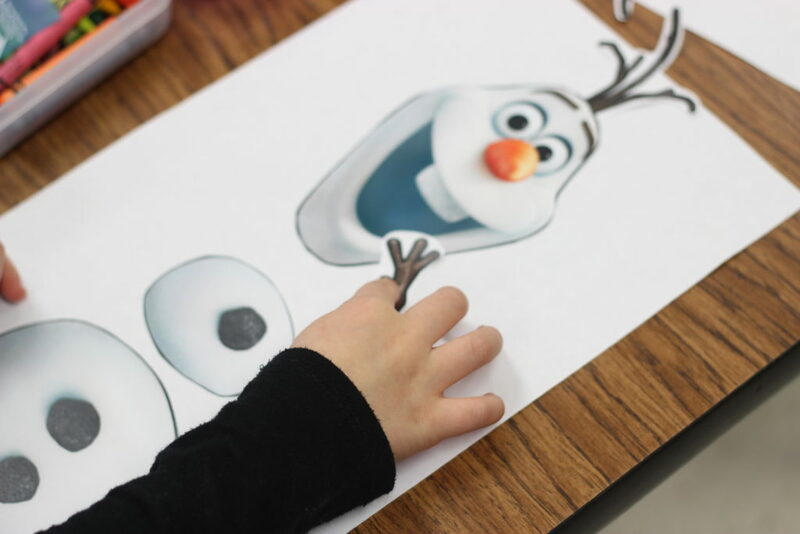 Not too long ago I stumbled upon THESE ADORABLE Olaf printables on Pinterest. 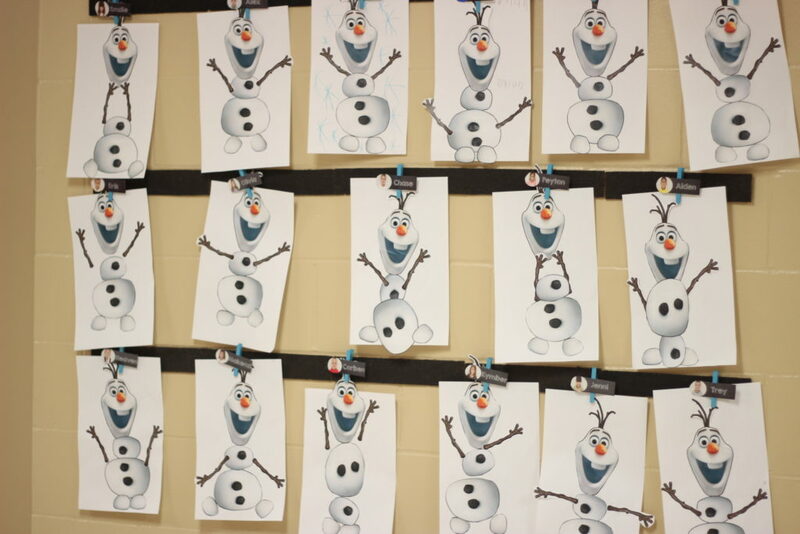 The kiddos LOVED creating their own Olafs so these are for sure in the plans for this year as well. I was so tickled by how they were all a little different from one another last year! 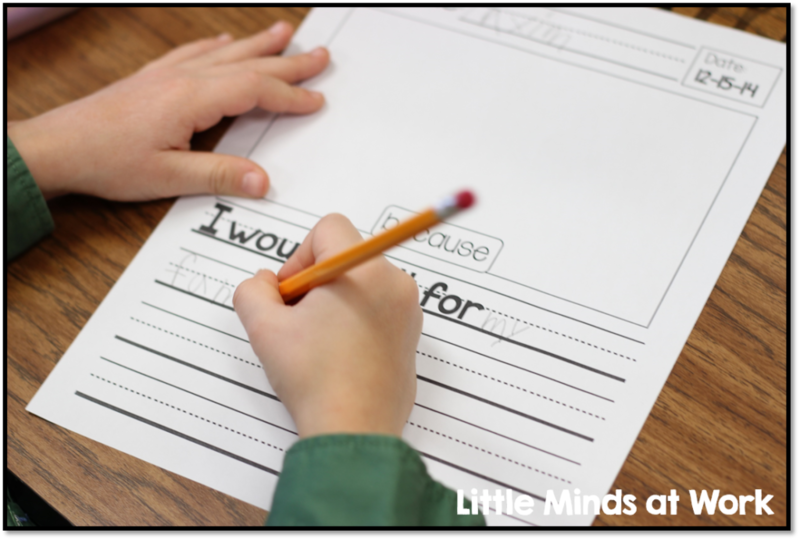 Below are some additional fun and engaging writing prompts for the kiddos to work on! 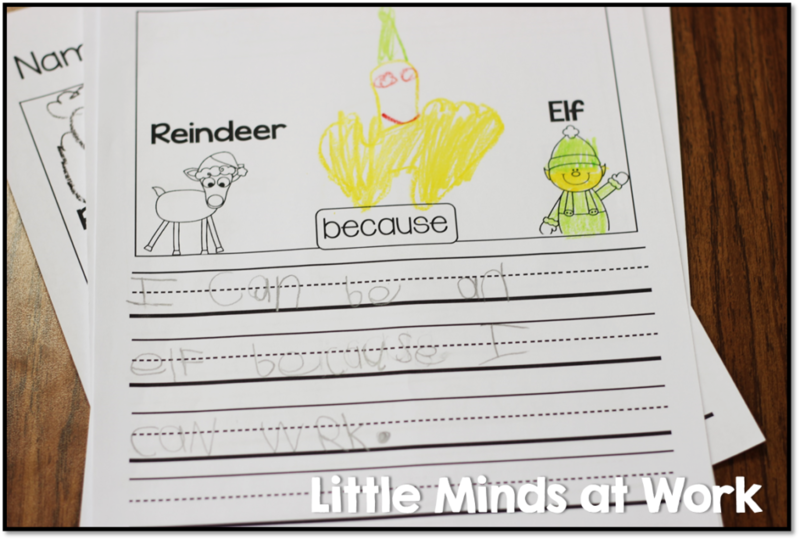 There will be a freebie download link below!Would you rather be an elf or a reindeer? I can be a reindeer because I can fly. 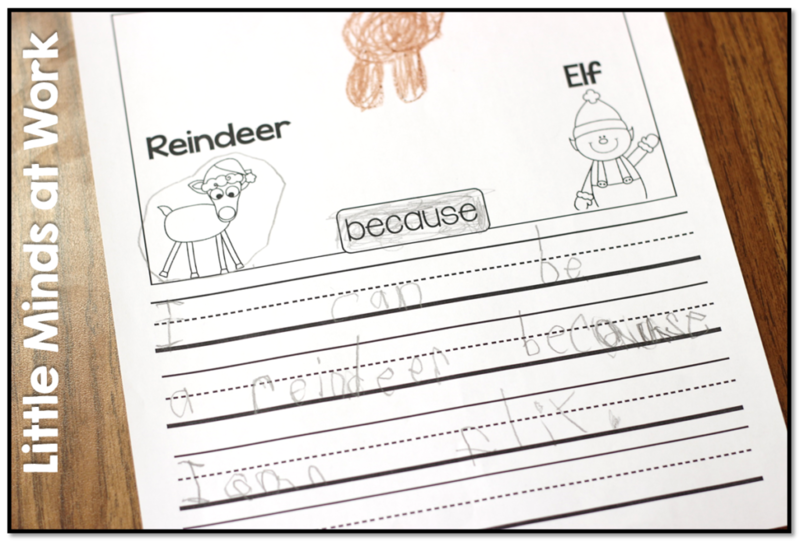 I can be a reindeer because I can run. I can be an elf because I can work. Do you like snow?I do not like snow because I get sick. I got a cold. I had to stay home. I like snow because I like to eat snow. 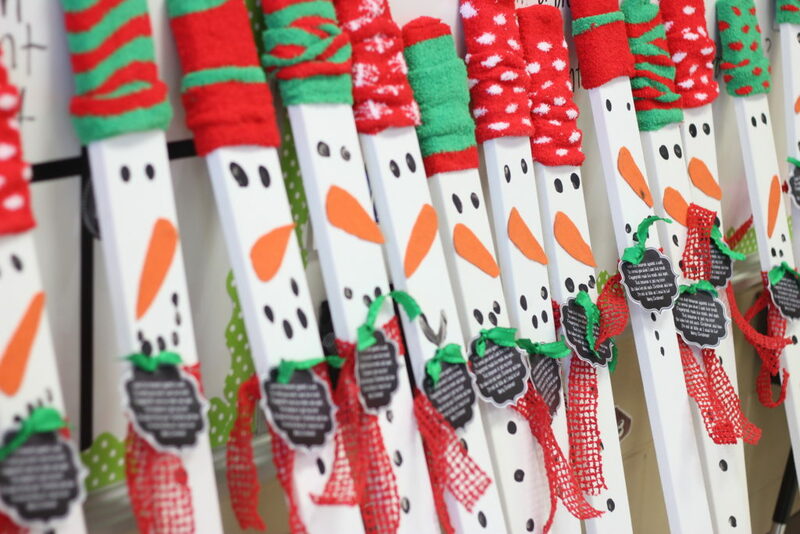 I like snow because we can make snowmen. 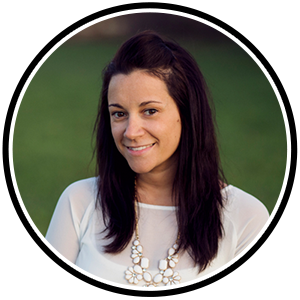 Download the above writing templates for free HERE! 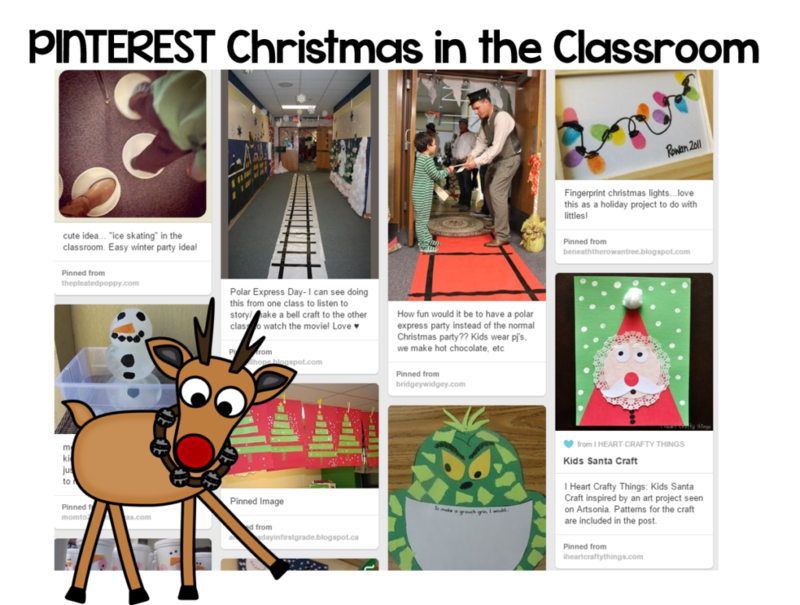 If you are needing a few more ideas for December you can check out my themed Pinterest board by clicking below! Thanks so much for stopping by! Again, I wish you the VERY BEST this holiday season! February $100 Amazon Giveaway + Freebies Galore! Thank you so much for sharing and for all that you do! For the Christmas tree project, is there a template for the different sizes of paper? No, sorry 🙁 I just got the strips free hand! 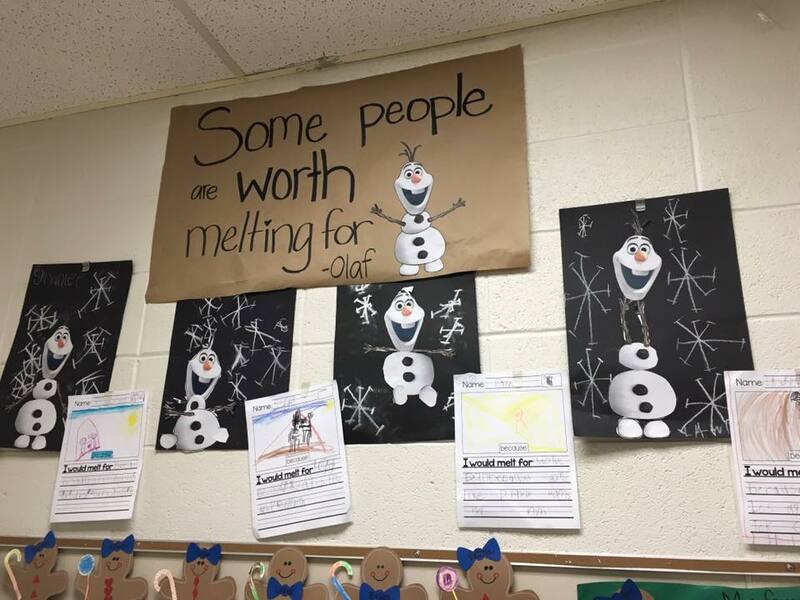 Tara, the Olaf writing and craft is my favorite thing I do with my students! We are doing it tomorrow and I’m so excited! Thank you for sharing your ideas. I really appreciate it. I was at a conference this summer and we received the KinderLiteracy units at the conference but don’t believe we have the unit with Polar Express included in it. Is this something that has to be purchased seperately? 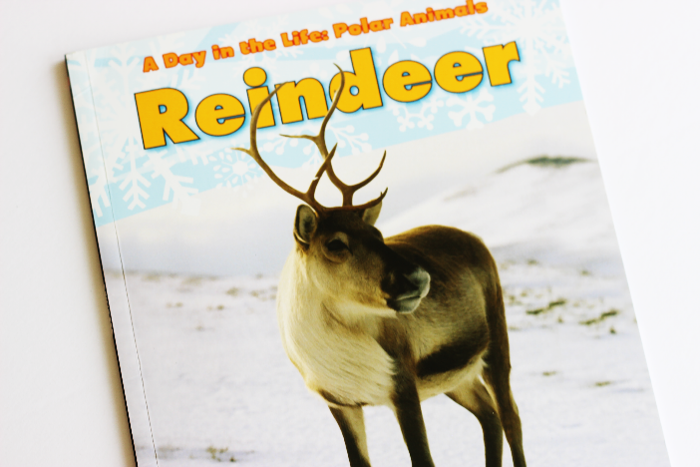 Amazon is out of stock on the reindeer book!!!! I thought I had a copy and it turns out I didn’t ! I bought another one as close as I could get it to this one.